Don’t miss the opportunity to eat at a Dai Pai Dong, a quintessential Hong Kong must eat dining experience, they serve up cheap local Cantonese dishes like grilled pork chop with rice, salt and pepper prawns and sizzling pepper steak in a no-frills setting. Pull up a plastic stool, squeeze around a formica table in a noisy communal atmosphere and glimpse into an authentic slice of working class Hong Kong. The once plentiful open-air Dai Pai Dong that occupied every busy street corner in Hong Kong have slowly vanished. Those that are left will eventually meet the same fate as original store owners age and licenses remain non-transferable. All is not lost, the modern Dai Pai Dong have moved into government buildings known as ‘Cooked Food Centres’, these may take away some of the authenticity, however the essence remains and the food no less delicious. The set up does have it’s benefits with better hygiene practices that comes with connected plumbing and more comfort for diners, some offer ceiling fans and TVs. Shops are strictly cash-only and some have bilingual menus or at least menu cards with photos. Part of the experience is to fumble your way to a meal by pointing, interacting with waiters and peaking over neighbouring tables, be prepared to get an unexpected dish or two. Located above a market, a series of Dai Pai Dong line a corridor alongside tanks of weird and wonderful live seafood. Makeshift tables occupy the centre of the hall, Cantonese pop music is blaring from overhead speakers and groups of locals are out for a cheap and cheerful feast amongst friends. 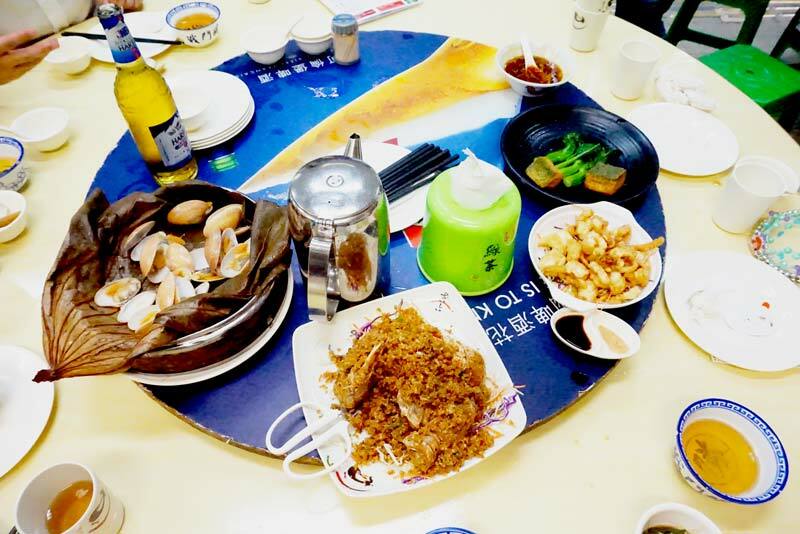 Head to Tung Po Seafood the most famous of them all and try some lotus leaf steamed clams, stir fried squid in black bean sauce, their signature squid ink noodle or if you’re game some deep fried intestines. Wash it down with Tsing Tao long necks poured into icy ceramic bowls. 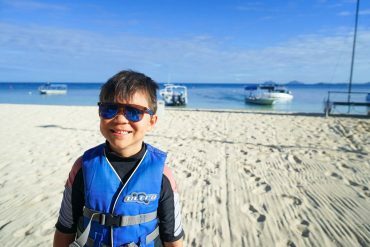 The laid back vibes is great for kids and you can request just about anything like fried rice, noodles and crispy chicken all served lightning fast. Although walk-ins are welcomed, for larger groups bookings are essential, this place fills up quickly. If there is a language issue when calling directly, ask hotel staff to reserve a spot. 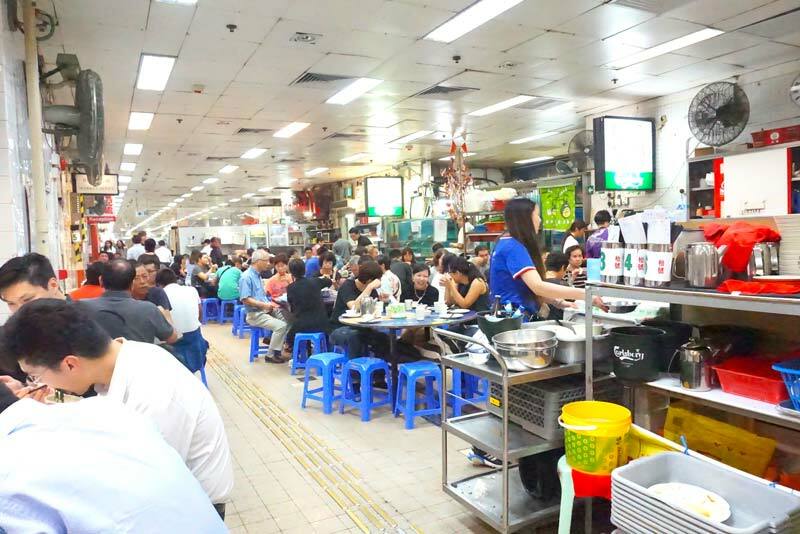 Hugely popular with young locals looking for nostalgia, there are often lines during peak times for the small amount of tables surrounding this unassuming Dai Pai Dong. 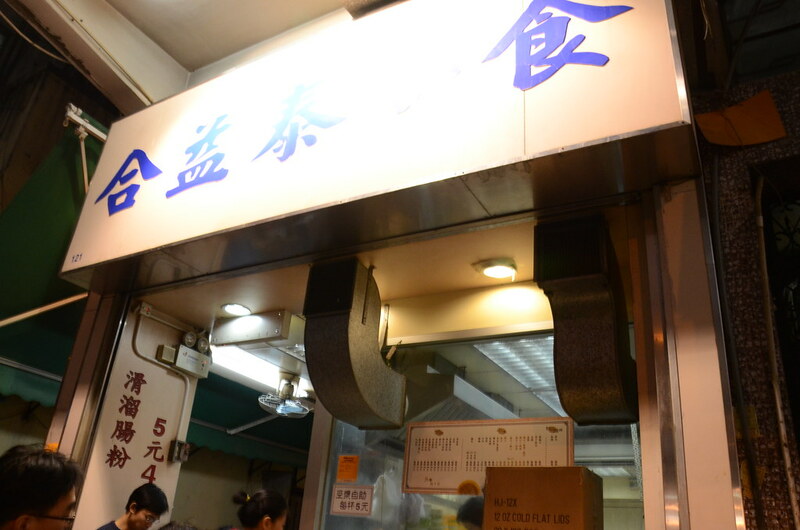 Unlike other cooked food stalls, Sing Huen Yuen closes around 5:00pm. 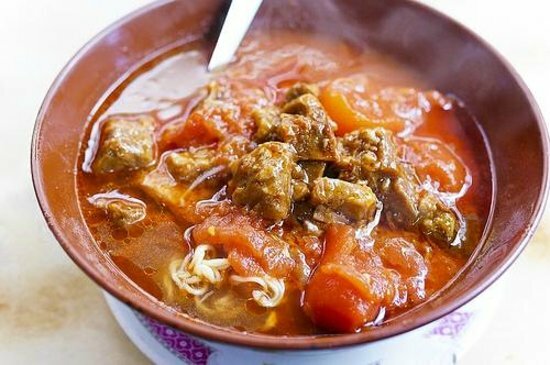 Famous for it’s inexpensive comfort foods like beef and tomato noodle soup, crispy sweet bun with condensed milk and hot milk tea. Cash-only premise and menu’s are both in English and Chinese. A bowl of Tomato and Beef Noodles cost $28 HKD. 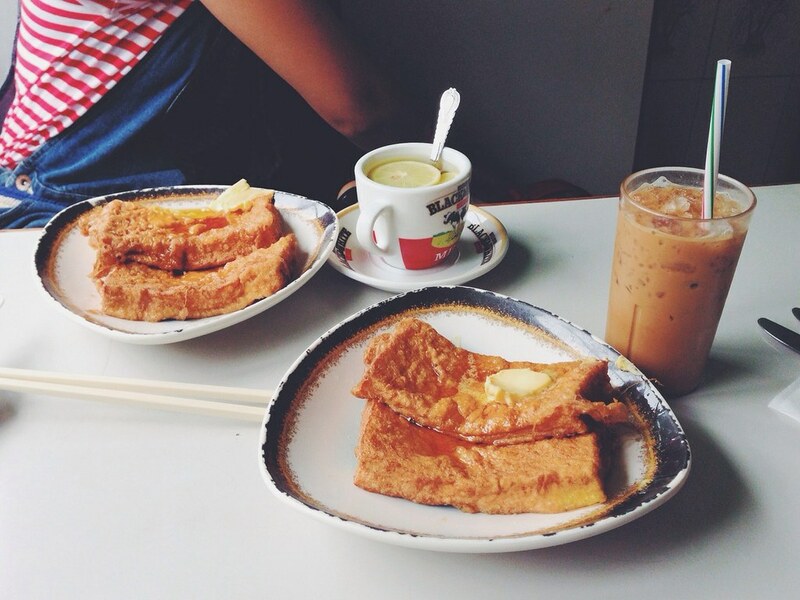 Toast with condensed milk cost $18 HKD. Address: 9-10 Stanley St, Central. Telephone: +852 2541 5678. Open daily 11:00am – 3:00pm and 5:00pm – 11:00pm. One of the oldest Dai Pai Dong surviving in Central attracts locals and tourists alike to it’s outdoor kitchen surrounded by portable tables and plastic stools for a cheap and tasty feed. Try their dried fry beef noodles, clams and black bean sauce, pork ribs in sweet and sour sauce and whole steamed fish. Particularly atmospheric at night, when the lane way restaurant is dimly lit by portable lights. Sing Kee is cash-only and no reservations required with small waits during peak lunch and dinner times. Shared tables are the norm for small groups. A plate of Beef and Black Bean will set you back $52 HKD and a whole steamed fish $90 HKD. Address: 215 Lai Chi Kok Road, Sham Shui Po. Telephone: +852 2393 9315. Open daily 5:30pm – 1:00am. Sham Shui Po has the majority of the traditional Dai Pai Dongs remaining and Oi Man San has the reputation as the best in the precinct. 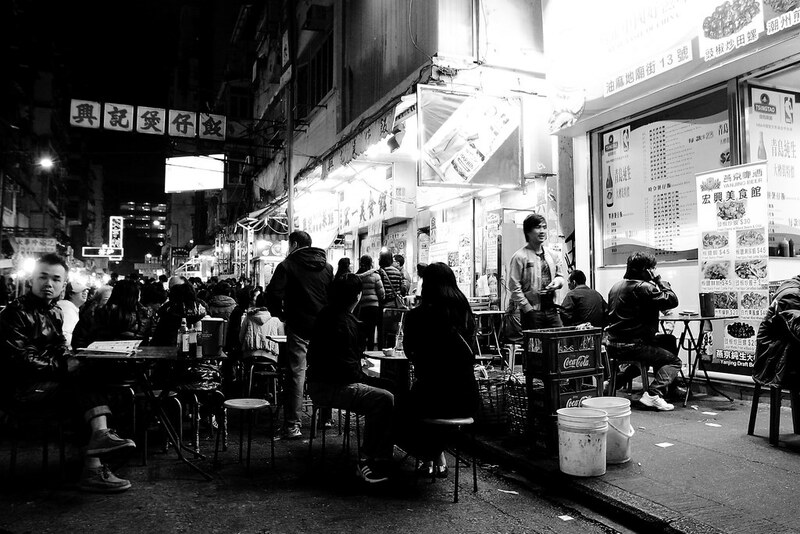 On any given night there are crowds gathered waiting for an available street side table, there are also tables occupying a small indoor store area. It gets very popular for late-night supper, closing at 1am. There are all sorts of oddities on the menu, fish and pork intestines, frog and vegetable stir fry and their signature dish, a braised ham hock as well as less adventurous menu items like beef and black bean. The shop operates with cash-only and it’s best to call ahead for reservations. A plate of Sweet and Sour Pork cost $75 HKD. 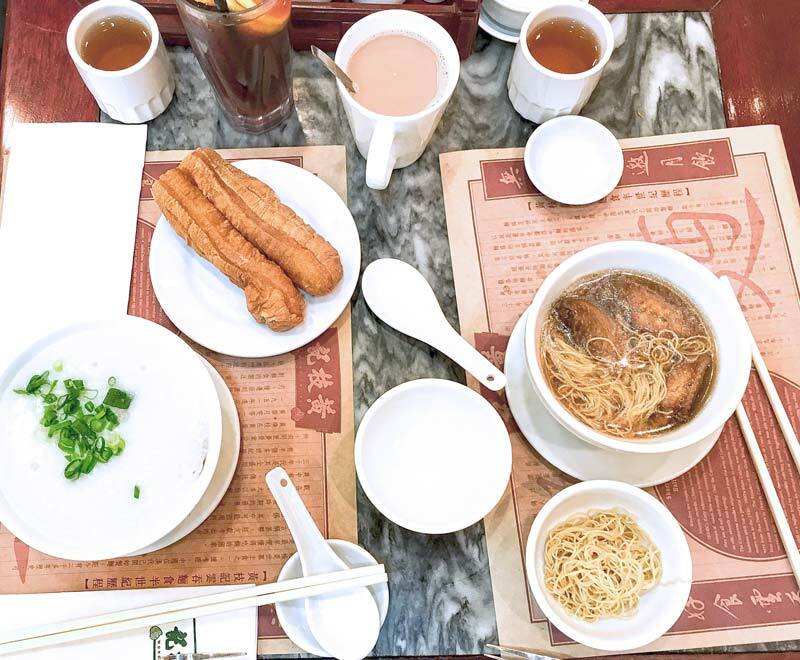 Another Hong Kong culinary experience not to be missed is a Cha Chaan Teng tea restaurant. 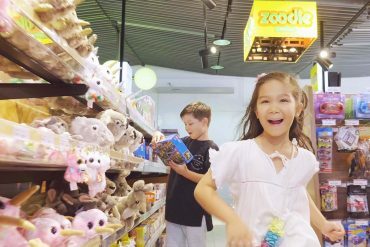 These traditional establishments are super kid friendly, clean, affordable and importantly air conditioned. They serve up a mix of Hong Kong must eat dishes ranging from Cantonese to pseudo western-inspired dishes, such as thick white toast minus crust drizzled with condensed milk, scrambled eggs, instant noodles with fried meat topping, silk-stocking milk tea or Yin-Yeung a coffee-tea combination drink. If you’re hungry go for a set menu. 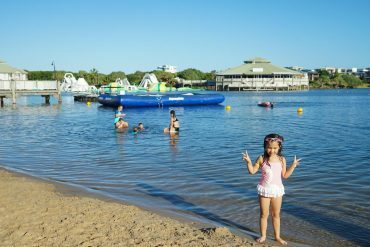 These family friendly restaurants operate on a cash-only basis, though items are breakfast related, most are offered all day and firm favourites for lunchtime. Steamed egg desert. Image: Toby Oxborrow, CC. 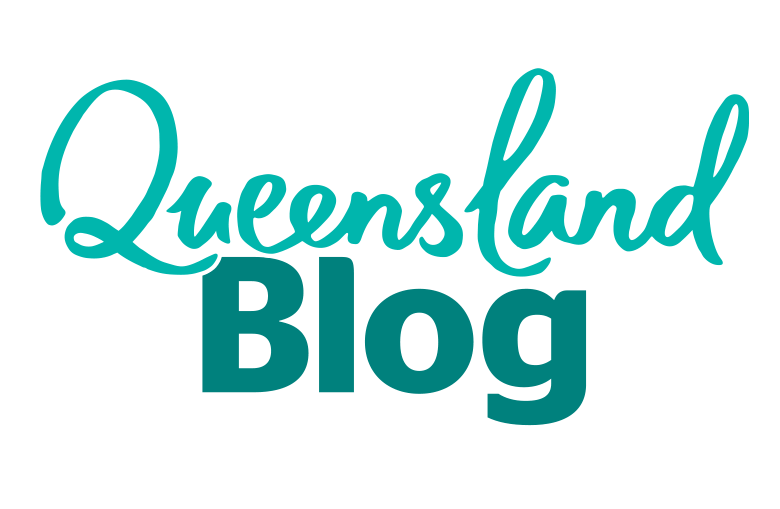 Address: 8/F, The Loop, 33 Wellington Street, Central (franchise). Open: Sunday – Thursday 7:30am – 11:00pm. Friday & Saturday 11:00am – midnight. Click here for list of stores. The franchised Hokaido Dairy Farm Milk Restaurant serves up consistent no-fuss staples and menu items are affordable. Almost identical stores are scattered throughout Hong Kong and kids adore the food. What’s not to love about a macaroni chicken soup with ham, waffles drenched in condensed milk and a cup of milked heaped with milo. Breakfast for a family four averages at $100 HKD. 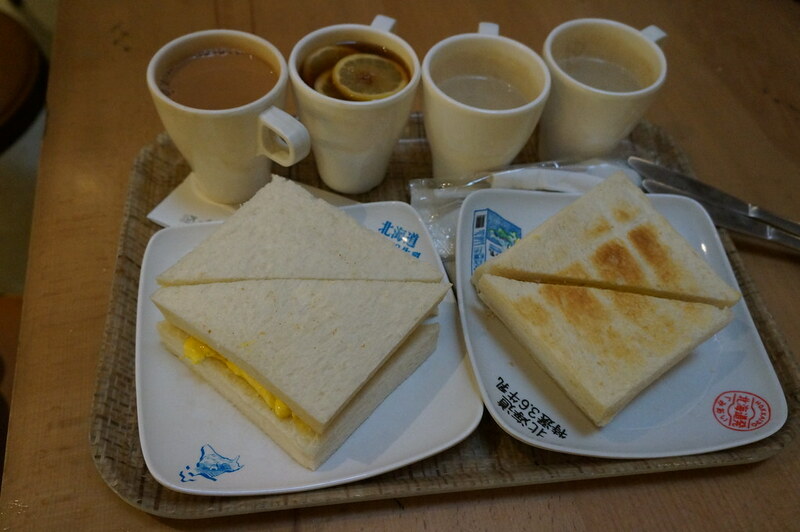 Egg sandwiches and tea for a snack at Hokkaido Dairy Farm Restaurant. Image: RosieTulips, CC. 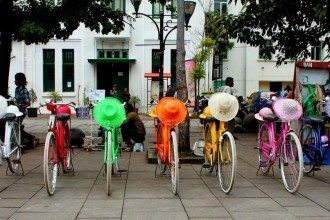 These franchises do get very busy with locals at peak lunch times, it best to go early or late afternoon. As with most Cha Chaan Teng, the restaurant accepts cash only and staff speak basic English, there are billingual menus available. An omelet toast will cost $22 HKD. Address: G/F, 47-49 Parkes Street, Jordan, Hong Kong. Open Friday – Wednesday 7:30am – 11:00pm (closed Thursdays). The quintessential Cha Chaan Teng experience complete with brisk and blunt waiters looking to whisk you away as fast as they sit you down. My first memory of the Australian Dairy Company is slurping a sweet steamed almond egg custard and thinking it was the best tasting thing ever invented, it’s still pretty great! Australian Dairy Co. is most famous for their silky scrambled egg on toast, macaroni soup and steamed milk. Queues for Australian Diary Co. Image: Calvin, CC. This is a cash-only premise and be prepared to wait 15-20 minutes during peak times. The turnover is quick and a seat for a family often found, you may need to share a table. Menus are in Chinese and waiters speak little English (they may know but refuse to speak). Try and point to what you want, ask for a set menu or give the Canto a go. Set menu from $32 HKD. Address: 15 Wellington St, Central, Hong Kong (one of many). Open: 24 hours. See list of stores here. 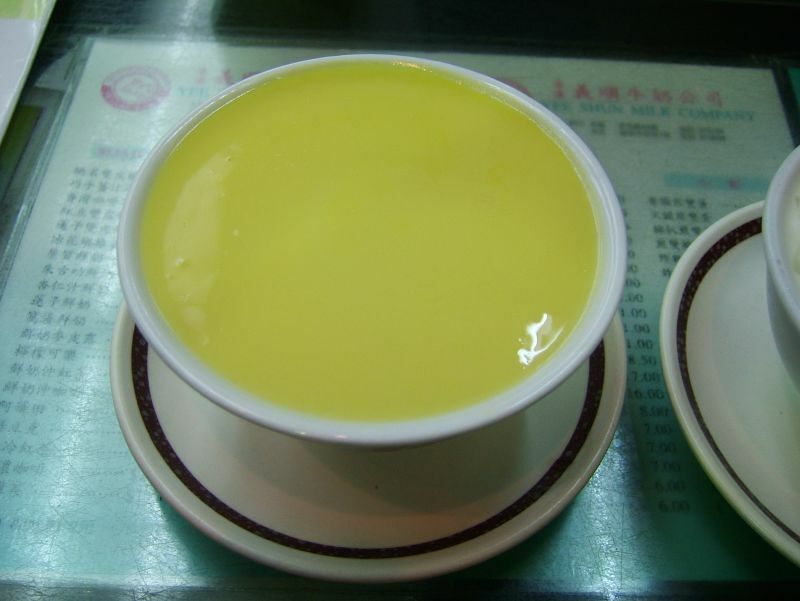 Tsui Wah Restaurant is the other big franchise tea restaurant and most are refurbished with contemporary decor. The menu is more extensive than breakfast items and include dried fried beef noodles, wonton and fish ball noodle soups, pizza and afternoon high tea. Typical breakfast set menu’s start from $38 HKD. 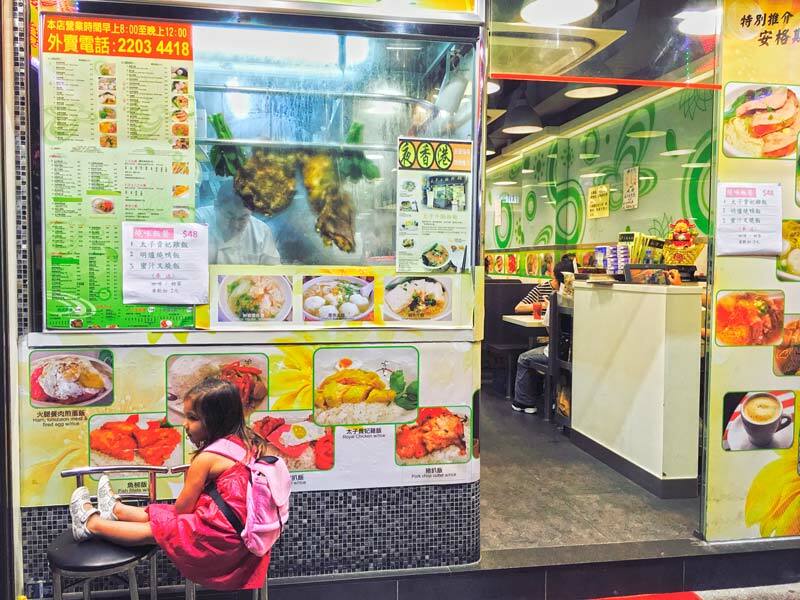 Families can sample a complete taste of Hong Kong without breaking the bank at Tsui Wah Restaurant from pineapple buns, egg tarts to silk stocking milk tea it’s all here. The restaurant accepts cash, credit and Octopus card and menus are billingual. Set menu from $68 HKD. Address: 63 Temple Street, Yau Ma Tei, Kowloon. Open: 8:30am – 9.45pm. The most famous Cha Chaan Teng on the Kowloon side, young locals come here for the nostalgia, though less adoration for the quality of food and service. The restaurant is frozen in time, basic wooden booths, walls of retro tiles and even a ancient cash register take patrons back to Hong Kong in the 1950’s, part of the appeal for Hong Kong celebrities who frequent the establishment. Kids will love the buttered french toast drenched in syrup, tomato fried rice, club sandwiches and iced lemon tea. French toast. at Mido Cafe 美都餐室. Image: Debbs, CC. Cash-only restaurant with air conditioning available upstairs and surprisingly a billingual menu. 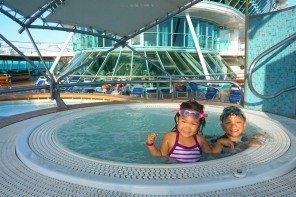 Minimum spend is $20 HKD per person including kids. A bowl of Beef Brisket noodle soup from $36 HKD. 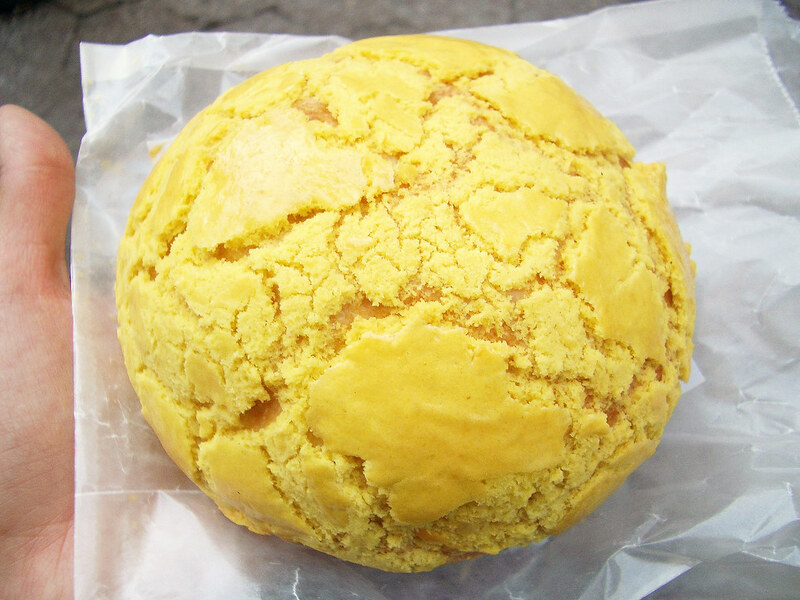 Found in bakeries everywhere, pineapple bread, or Bo Lo Bao, is a sweet bread which looks like a pineapple (rather than actually containing any pineapple). It is made from flour, sugar, eggs and lard, resulting in a crisp exterior and a soft, doughy interior. It is best when eaten fresh from the oven, with a chunk of butter melting in the middle. Address: G/F & Mezz Floor, 176-178 Hennessy Rd, Wan Chai. Open 6:00am – Midnight. Address:G/F, 84-86 Des Voeux Road Central, Central. Open 7:00am – 2:00am. Address:G/F, 47 Bute Street, Prince Edward, Mong Kok. Open 6:30am – Midnight. The influence of the British on Hong Kong’s culinary scene is most obvious in their preference for afternoon tea, with Hong Kong-style milk tea an essential element. This Ceylon black tea, made with evaporated milk, is served either hot or cold, and normally with a good spoonful of sugar for sweetness. 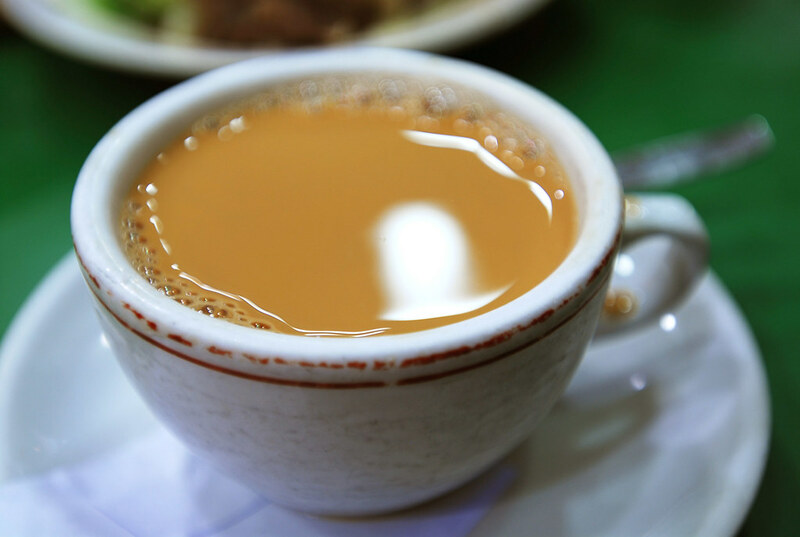 The traditional Cha Chaan Teeng tea restaurants will serve a good old fashioned milk tea, for the original head to Lan Fong Yuen at 2 Gage Street, Central. This establishment lay claims to inventing the silk stocking milk tea, the first to strain tea leaves through a woman’s silk stocking. Lan Fong Yuen. Image: Hombre Tangencial (JOP), CC. Family friendly bite-sized portions that range from steamed to deep-fried appeasing even the fussiest of little eaters, choose from sweet custard buns shaped like little piglets, fresh prawn dumplings and crispy spring rolls. Adventurous kids can tuck into marinated chicken feat, steamed beef tendons and coagulated pig blood (tastier than what it sounds). There is much pride in Hong Kong’s Yum Cha scene from decadent to basic and everything between, it’s a family communal dining experiences that just can’t be missed and a quintessential Hong Kong must eat. Lung King Heen – Sui mai dumplings, image: Malcolm Moore, CC. Dim Sum translates to touches the heart, and locals have an a Yum Cha parlour that touches their hearts. 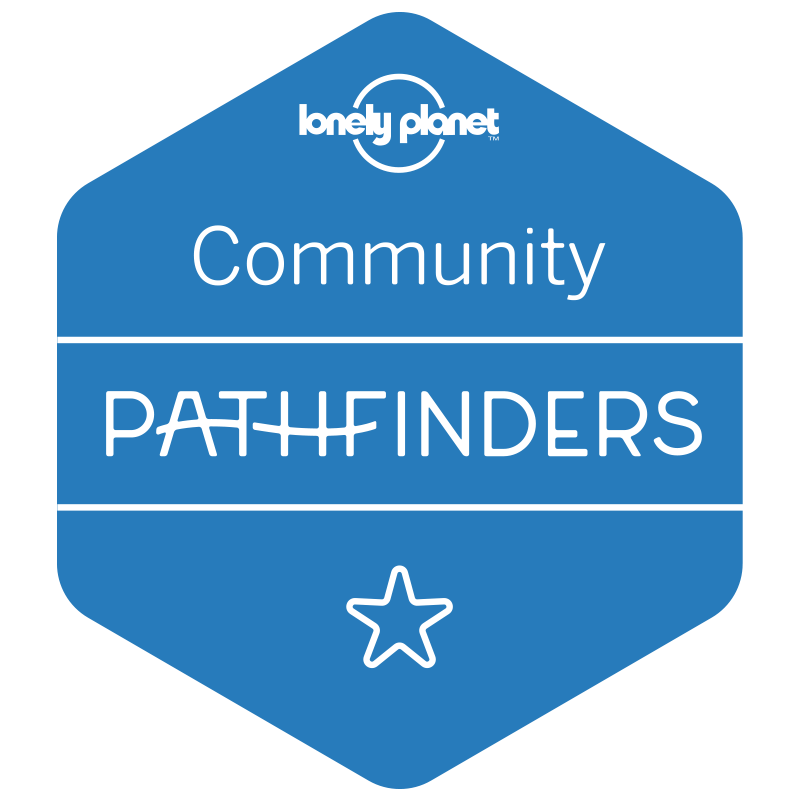 If in doubt, ask for a recommendation, they might just offer up an authentic, local haunt. Even with franchises now in Australia it’s always good to go back to where it all began. Tim Ho Wan originated from unassuming hole in the wall restaurant in the backstreets of Mong Kok with a maximum capacity of 40 people. The reason for the raging foodie fans lies firmly with executive chef Mak Pui Gor who was at the helm of Michelin-starred, Lung King Heen at Four Seasons Hotel Hong Kong and splintered off to create “Hong Kong’s cheapest Michelin-starred restaurant”. With parcels of dim sum averaging $24 HKD there is no wonder why locals and visitors are latching on. The queues outside the original (now closed) Tim Ho Wan. Image: PROChika Watanabe, CC. Although the original Mong Kok store has closed, several outlets have sprung up including in Sham Shui Po and garners great reviews with the shortest wait times. Stores are always busy expect wait times from 15-40 minutes. A far cry from when Tim Ho Wan first opened, patrons waited up to three hours for a taste of the signature BBQ bun which is unlike traditional steamed buns, the BBQ pork bun is baked to perfection with a crispy caramel texture and sell like hot cakes (or buns). 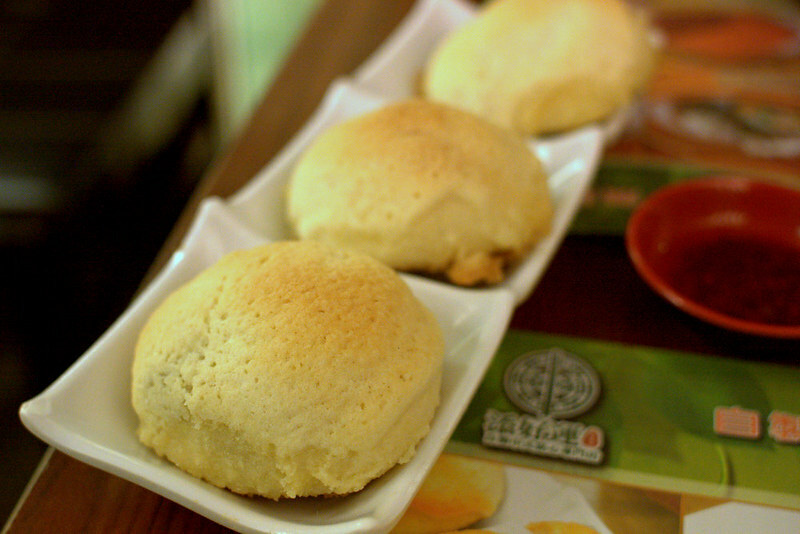 Tim Ho Wan’s famous baked BBQ Pork Buns. Image: Krista, CC. Tim Ho Wan is cash-only and menus are in Chinese though waiters maybe able to help. Ask for assistance from staff use to Western tourists or neighbouring diners who are seated extremely close. If you still don’t have luck, just tick randomly on the order docket provided, it’s all tasty and quick, just the way families like it. 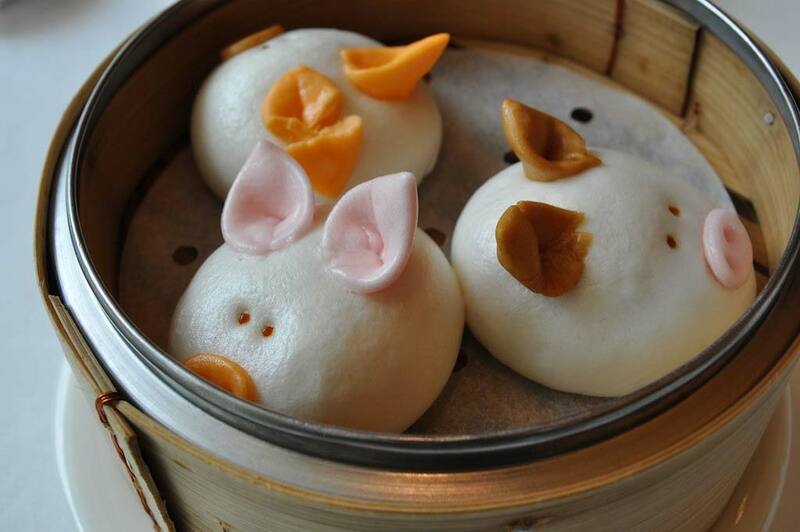 Quirky and very cute, Yum Cha were the creators of the puking custard buns, cute little bite size buns with eyes are meant to be played with. Kids can poke a mouth hole and squeeze forth it’s contents in a variety of characters and flavours. There are also BBQ pork buns in piglet faces, dog shaped sausage rolls and the sweetest little set of pineapple puff birds served in birdcages, as well as the usual dim sum favourites. Set in light bright and modern surrounds, go now before the gimmick expands to all the Yum Cha restaurants worldwide. A basket of puking buns will set you back $49 HKD. Cash and credit card accepted, booking recommended. Another place that has cute character dim sum is Dim Sum Icon X Little Twin Stars Cafe also in Tsim Sha Tsiu. See the Japanese Sanrio cartoon character Gudetama in spew forth egg custard and poop chocolate custard. 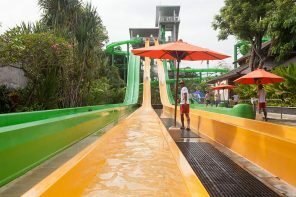 Kids will love this place for obvious reasons. 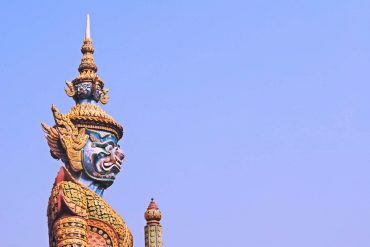 Located on the second floor of City Hall in spacious dining hall with grand chandeliers overhead is City Hall Maxim’s Palace. People love to hate this place, some say it’s mass produced dim sum only for foreigners, however on any given day there is a loyal group of locals and the food served is consistently good. I feel it’s tall poppy syndrome and Maxim’s is a nice gentle introduction to the art of Yum Cha. 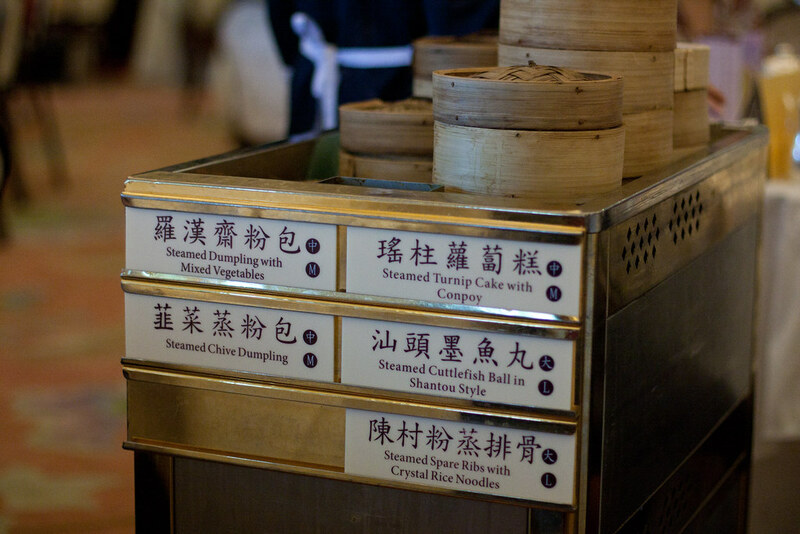 One of the last restaurants that offer dim sum from traditional push cart trolleys with signage displayed in both Chinese and English, some come with digital screens showing what they are carrying. Try their turnip cakes, cheung fun (rice noodle roll) sticky rice and sweet treats like mango pudding, custard sesame balls and egg tart. Dim Sum trolley at Maxim’s at City Hall. Image: TomEats, CC. 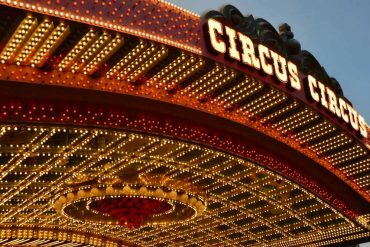 ‘The Palace’ operates on a first serve seating arrangement via an electronic billingual ticketing machine. Conveniently, trolley ladies and waiters all speak English, dim sum parcels range from $32-50 HKD depending on size and specialty. Go early to score a table as the lunch time rush, particularly on weekends has long waits. Address: Four Seasons Hotel Hong Kong, 8 Finance St, Central. Open noon – 2:30pm and 6:00pm – 10:00pm (dinner). 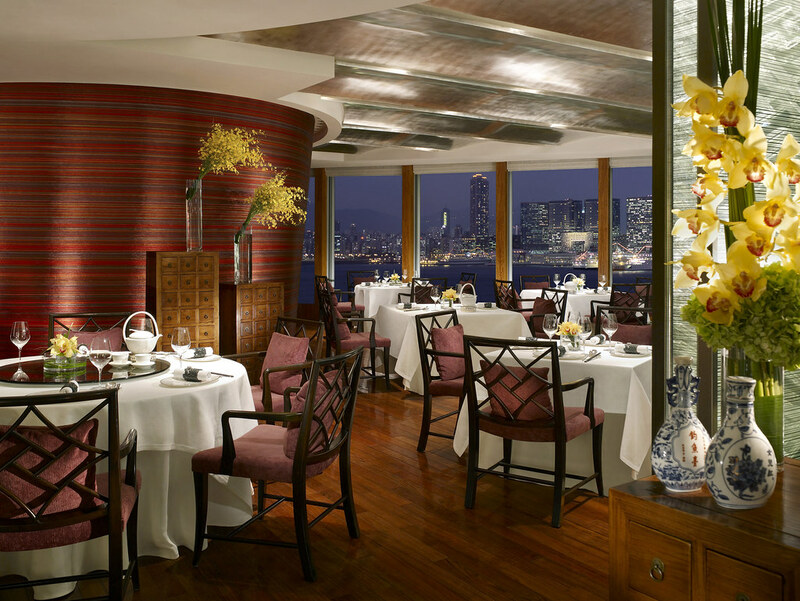 Located at the Four Seasons Hotel Hong Kong, Lung Kin Heen is the first Cantonese restaurant awarded three Michelin Stars with renowned executive chef Chan Yan Tak. 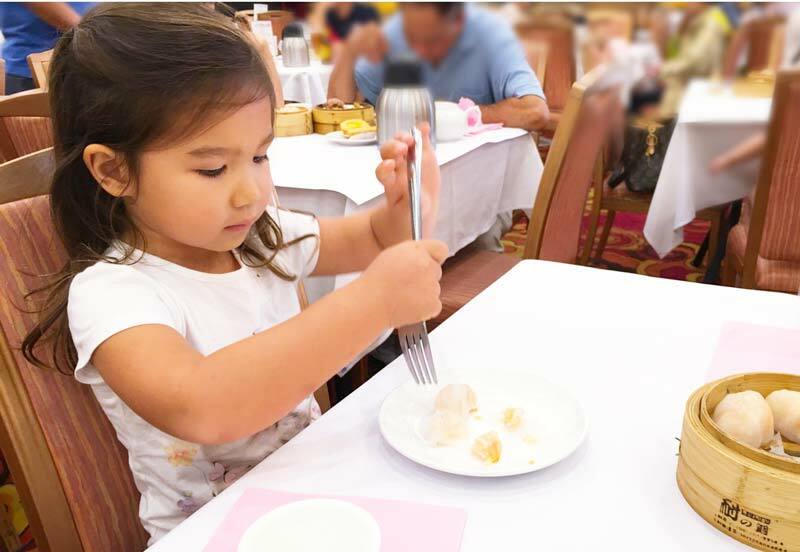 Families can sample dim sum a-la-carte from a rotating seasonal menu including scallop and lobster dumplings, baked barbeque pork buns with pine nuts, and steamed rice rolls. 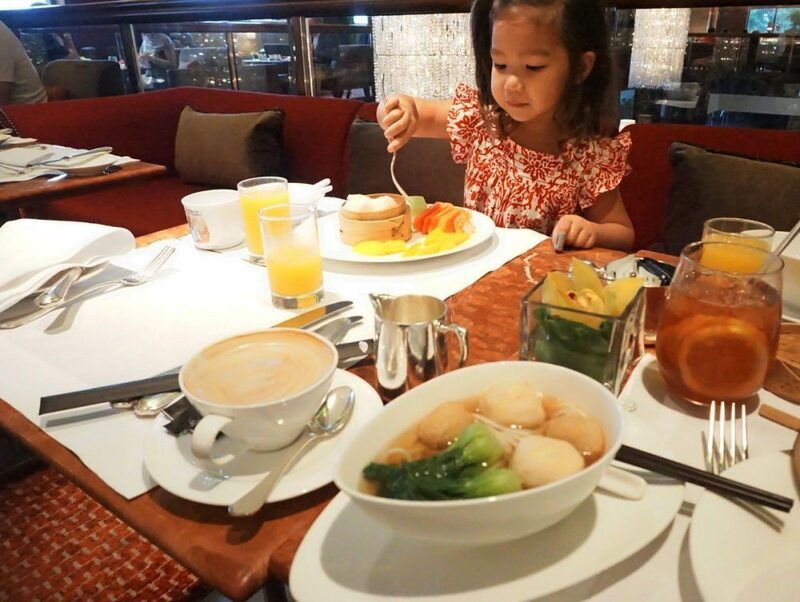 Despite it’s high accolade and posh surrounds, kids are welcomed with their own Children’s Menu which includes Steamed Egg With Milk Custard, Shrimp Wonton with Udon, or Scrambled Egg with Shrimps. 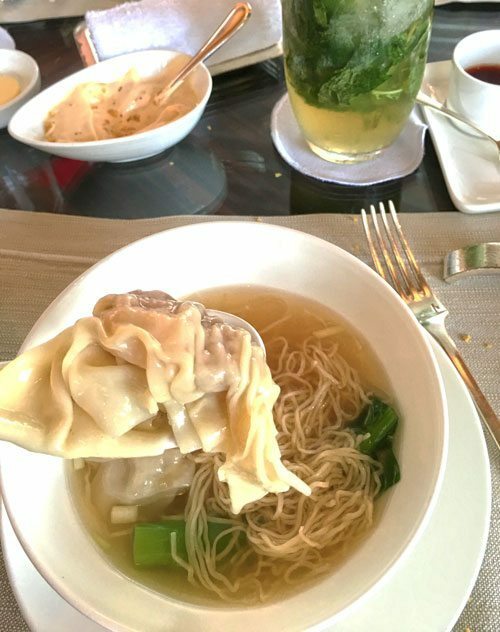 Lung Kin Heen at Four Seasons. Image: Razlan, CC. The fine set up means a heftier price tag each dim sum parcel starts from $78 HKD. Children’s menu starts from $120 HKD. If planning to dine here, it’s important to book at least two months ahead to avoid disappointment. Cash and credit cards accepted. Address: 4/F, Exchange Square II, Central. Open 11:00am – 3:00pm and 6:00pm – 11:00pm (dinner). If you can’t get into Lung King Heen, then around the corner is another Michelin-starred Yum Cha house with excellent dim sum. A roomy and refurbished dining room, kids will love the little piglet shaped pork buns, steamed buns that look resemble mushrooms, creamy egg tarts and the best rice noodle roll in donut (Zha liang) I’ve ever tasted. The Square is famous for it’s seafood and it’s signature lobster dumpling does not disappoint. 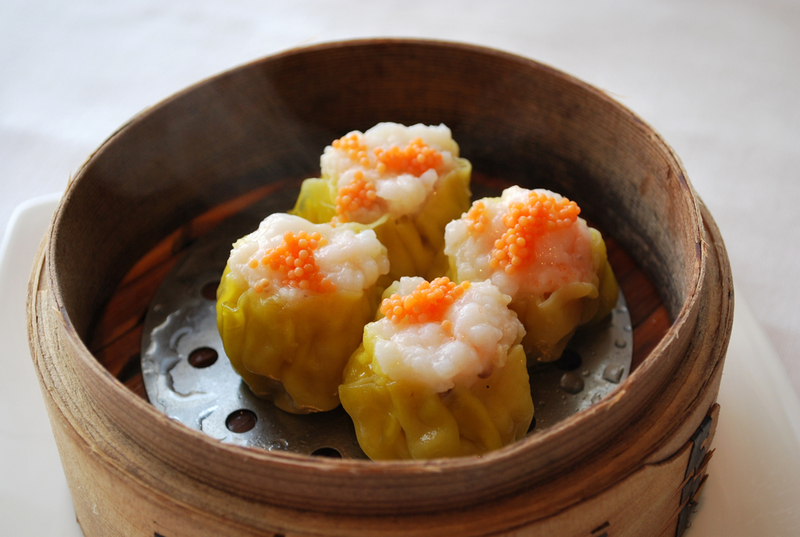 Dim Sum starts from $40 HKD. Bookings are recommended though walk-ins for small groups are OK. Cash and credit cards are accepted. Social Place, Central – modern setting and fusion dim sum. Mott 32, Central – posh dim sum in an old bank vault (kids welcomed). 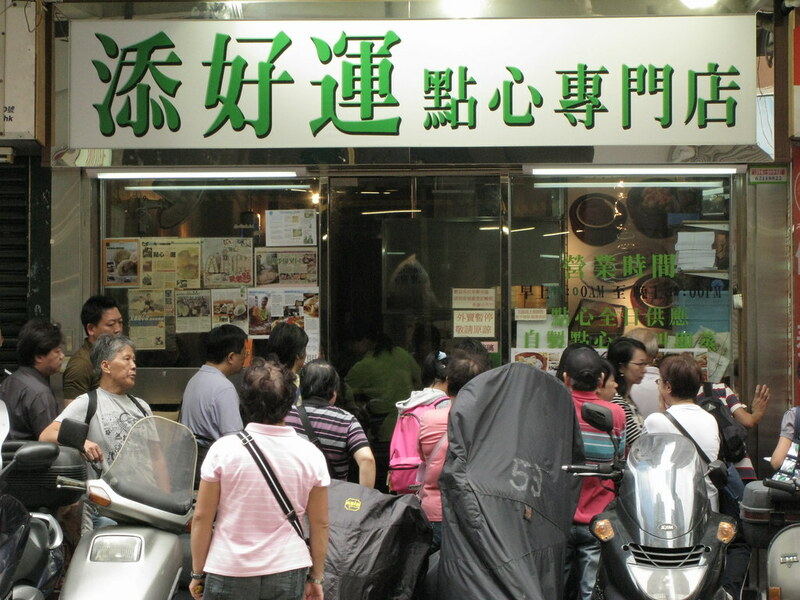 Lin Heung Kee, Sheung Wan – one of the oldest Yum Cha parlour’s in Hong Kong. Dim Sum has a few set times throughout the day. There is the morning breakfast session (from 6:30am – 10am), a mid-morning brunch session (10am-noon), the peak lunch time session (12noon-2:00pm) and the afternoon tea (3:30-4.30pm). The peak lunchtime session draws larger crowds and higher prices, go at brunch or afternoon tea and score some bargains, for example a roasted goose on noodles is typically a “large or extra large” menu item, but order it at afternoon tea and it is relegated to a “medium “ item therefore costing less. Wonton noodles are a hugely popular Hong Kong must eat dish (commonly found at dai pai dongs), and while there are plenty of different versions across China, the Hong Kong dish is normally fresh parcels of pork and shrimp mince, wrapped in a wonton pastry and served with steaming hot soup curly egg noodles, the goods bowls have noodles with a slightly springy texture. When wonton noodles make an appearance then a fresh bowl of congee (jook) is not far away. A steamy glutionous bowl of rice porridge which has sat simmering for hours is a Hong Kong staple. Traditionally a breakfast item (though it can be eaten at any hour). Congee can be served plain with a dash of salt, pepper or with meat, seafood or egg with a sprinkle of fresh ginger and spring onion. It’s hearty, comforting and made especially delicious in Hong Kong. A bowl of congee is not complete without dunking a crunchy Chinese savoury doughnut in until it gets coated and just soggy enough to devour. Recently relocated and refurbished with several cozy private booth tables, the Michelin-starred Hon Hung Kee Congee and Noodle Shop located on the 12th floor of Hysan Place shopping mall, does a mean wonton noodle, the dumplings are big and juicy with chunks of prawn and the egg noodles fresh and springy, the fish congee delicate and smooth. Other signature dishes include dried fry beef noodles and zha liang (rice noodle wrapped around chinese doughnut). A bowl of wonton noodles costs $39 HKD ($56 for large). 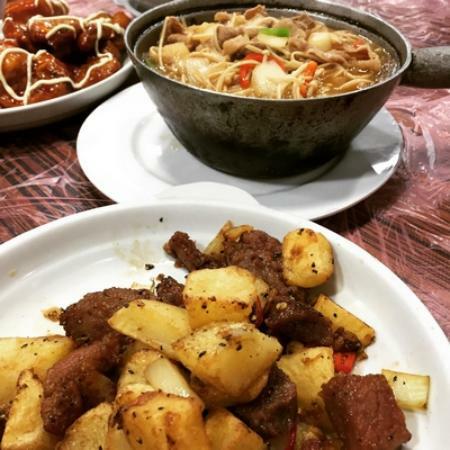 This is the franchise of the award winning Macau restaurant, located in Central in a traditional Chinese style basement restaurant with a spacious central dining room. Like most things in Hong Kong if you go early, the restaurant is rather empty which suited us just fine. Service is quick and without fuss, dishing up very tasty bowls of thick creamy congee and large servings of wonton noodles (though the noodles were a tad bland). Try the boat/sampan congee or preserved egg congee. Cash only setup with billingual menus. Brash staff speak basic English, enough to get by and order the main dishes. 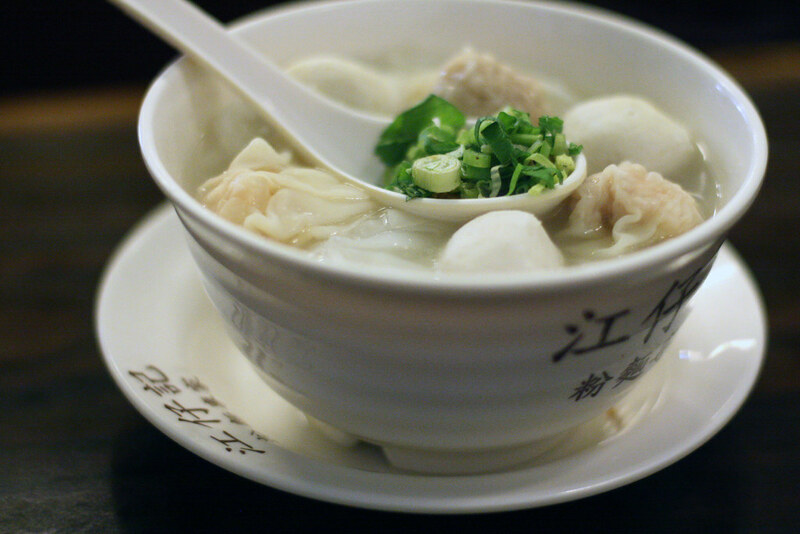 Wonton noodle soup from $38 HKD. Address: Shop B, G/F Jade Centre, 98 Wellington Street, Central. Open 9:00am – 10:30pm. Appointed the Michelin Guide’s ‘bib gourmand’, Tsim Chai Kee offers affordable wonton noodles (no congee) serving the busy business workers in and around the financial hub of Central. 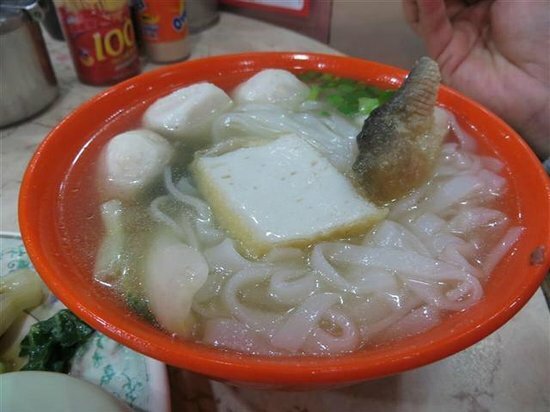 The restaurant only offers wonton noodles with three toppings either of huge plump wontons, giant fish balls or broiled beef slices. Patron choices include number of toppings or choosing between egg noodles, flat noodles or vermicelli noodles. Wonton Noodles at Tsim Chai Kee. Image: Chee Hong, CC. Cash-only premise, lunch time can be quite frantic with share tables the norm, families may find it much more comfortable going early or for a later afternoon lunch. Billingual menu and waiters have enough English vocabulary to understand your order. 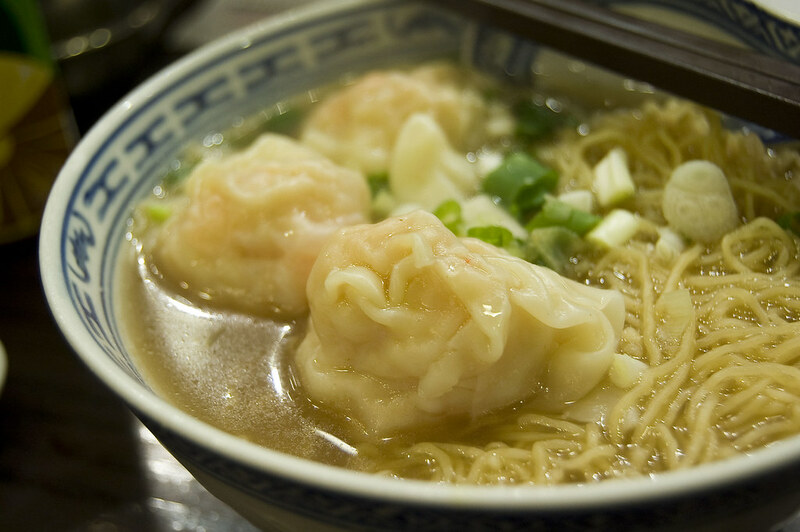 King prawn wonton noodle from $28 HKD (small). There are many ‘Mak’s Noodles’ dotted around Hong Kong, however the original and the best is in Central and where wonton king Mak Woon Chi cut his teeth. 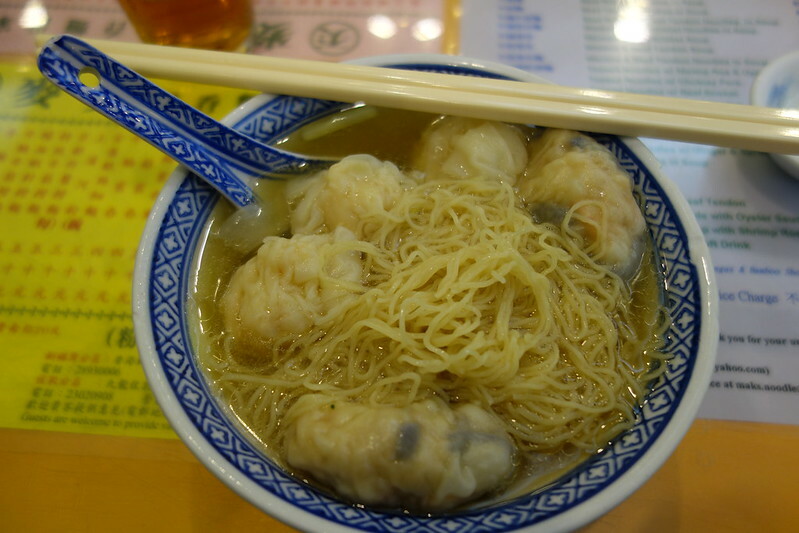 Located just across from Tsim Chai Kee, the restaurant serves signature small bowls of thin springy wonton noodles (perfect for kids) with plump and delicate parcels of wontons, the way the wontons are wrapped here leave no excess wonton pastry around the meat. Mak’s Noodle image by Yun Huang Yong, CC. Cash-only premise. Menus are in Chinese and waiters speak little English, though you can get by with gesturing and pointing. 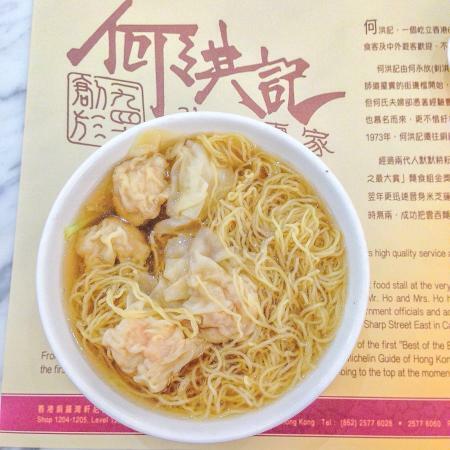 Small bowls of wonton noodles from $38 HKD. Iconic to Hong Kong streets and a representation of the Hong Kong working class, don’t leave without buying a Hong Kong must eat fish ball skewer and don’t pay more than HKD $5! The most popular is the curry fish balls where patrons can help themselves to the condiment tray, if you’re unsure – satay sauce goes nicely. For kids there are plain fish balls without spice. Fish ball shops are scattered throughout the streets, you won’t be far from one in and around major MTR exits, near popular shopping or tourist areas and busy junctions and intersections. Alternatively, you can try fish ball soup at restaurants across Hong Kong, served in a clear, hot pot-style broth, have it with your choice of vermicelli noodles or egg noodles. Hong Kongers are fascinated not just by flavour but the texture of food. A good fish ball has to have that springy or bouncy sensation, they must be fishy without being too overpowering. In summary you’re looking for a fresh and smooth ball without fishy bits or bones. Around the streets of Causeway Bay, you’ll be sure to find one along the streets around SOGO shopping district, one particular fish ball shop is owned and operated by the former 1994 Miss Hong Kong, Halina Tam who famously opened up a fish ball shop after quitting show business as it paid poorly. Address: 121 Lam Street, Sham Shui Po. Open: 6:00am – 8:00pm. Voted one of the best street food stalls in the Hong Kong Michelin Guide 2016, head to Hop Yik Tai Famous for it’s Cheung Fun another Hong Kong must-eat, they also serve bouncy fresh curry fish balls. Fish balls from HKD $5, cash-only and expect a fast moving long queue at any given time of the day. There are loads of fish ball shops around Mong Kok including is a small store without an English name but known famous for fresh fish balls. Most fish ball shops are a type of street food and are served from heated carts in the open air. With fish ball shops, the more people hovering around the better, it means the place is reputable, tasty and has a high turnover. If the carts look unclean or shops are empty best to stay away, it’s not worth ruining a holiday over a $5-7 HKD skewer. Address: 22 Shau Kei Wan Main Street East, Shau Kei Wan. Open: 7:00am – 7:00pm. Famous for it’s signature fish ball noodle soup, it’s known as one of the best! Choose between vermicelli, flat rice noodle or egg noodle. Cash-only premise with menus in Chinese, however there are images to point to. Prices for a fish ball noodle soup from $28 HKD. Families will be more comfortable going early or late afternoon on a weekday as it gets popular with long queues on weekends and lunch times. Address: G/F, 2 Kau U Fong, Central. Open: Monday – Friday 10:30am – 8:00pm. 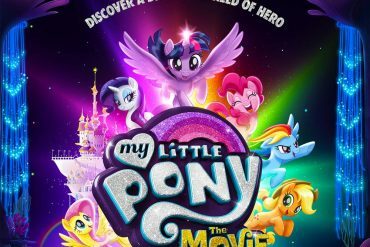 Saturday & Sunday 10:30am – 7:00pm. A little more central for fish ball is Kong Chai Kee, it’s signature fish ball noodle soup is quite strong and briney, with petite and soft fish balls that has that bouncy texture. The flat rice noodles are a favourite here and served with a large helping of spring onion. Kong Chai Kee is a cash-only premise, menus are in Chinese but there are photos and prices to help. Fish ball noodle soup from $27 HKD and servings are generous. Traditionally family and friends gather around a steamy pot of soup to cook their own meat, seafood and green vegetables. 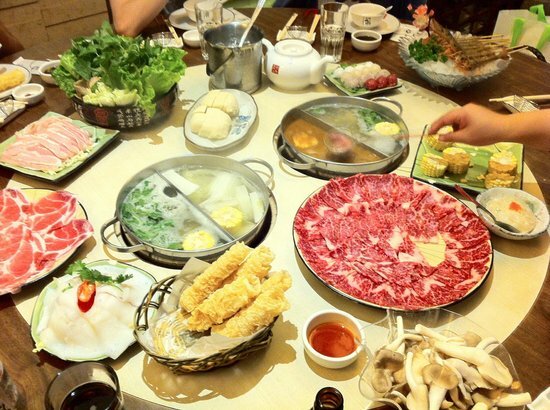 Hot pot is a Hong Kong must eat, particularly great in the winter but just as good in the summer, when restaurants crank the air conditioning right up, so guests can feel comfortably warmed sipping the hot broth. Kids love this DIY dining, as the main soup pot is partitioned, parents can also opt for a spicier broth whilst kids can choose a non-spicy soup base. As the soup slowly boils on a built in stove, it’s accompanied by a selection of meats, seafood and vegetables which is slowly broiled to your liking, once cooked, finish off by a good dunk in a range of dipping sauces. 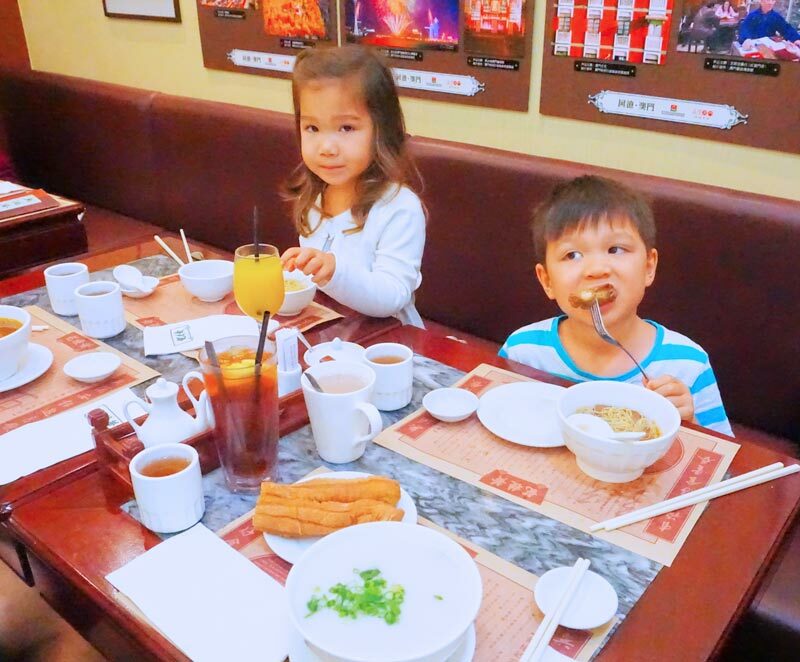 My kids get a kick out of the hands-on experience (although caution is needed around the boiling soup) and it’s an undeniably fun, communal way of eating. A franchise with a few restaurants around Hong Kong, the one in Tsim Sha Tsiu gets the rave reviews, particularly with outstanding views of Victoria Harbour from the 23rd floor of iSquare. Renowned for their flavoursome soup broths (try the iconic lobster broth), wonderful condiments and fine selection of fresh fish and shellfish, though the imported grass-fed beef is just as good. The seafood soupy goodness goes best with light fresh leafy green vegetables, glass noodles, mushrooms and tofu. Finish off with a slice of watermelon and osmanthus jelly. Soup bases range for $68 – 198 HKD per base. Mains range from $78- 188 HKD. Menus are billingual and English is spoken by staff. Cash and card are both accepted. Head to Megan’s Kitchen in Wan Chai for one of Hong Kong’s best hot pot with a modern twist. Offering expansive soup base selection including Tom Yum Cappuccino, Cheese and Onion Soufflé, Oxtail and their signature Tomato and Crab Soufflé base. To help navigate the big list of soups available, Megan’s Kitchen can provide a three soup partition hot pot. Just as diverse is the main accompaniments, as well as the traditional slices of fish, thin marbly beef, fish balls, noodles and leafy greens, there are also rainbow cuttlefish balls (minced cuttlefish rolled up with spinach, beetroot, pumpkin and capsicum), truffle and beef balls and kimchi dumplings. Not the cheapest hot pot going around, soup bases around $228 and dishes range from $99-138. Set menu from $1980. Hot Pot’s are not for everyone, some just don’t enjoy soup and boiled meat. There is also a varied selection of a-la-carte options like salt and pepper soft shell crab and sweet and sour pork. Menu is in Chinese however staff can assist as it’s a hugely popular hot pot place for locals and tourists alike. 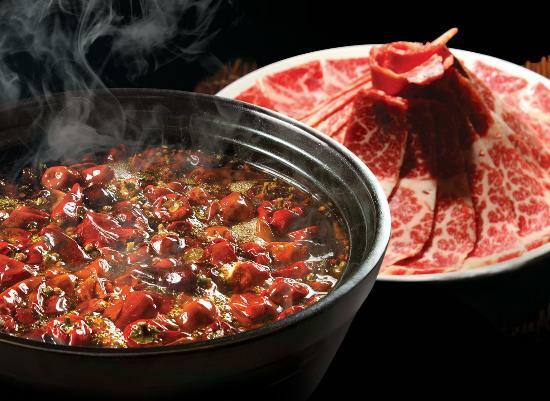 Located across two levels of the Coda Plaza in the Mid-Levels, chilli lovers will rejoice at the authentic Sichuan style hot pot with spice overload. All the typical main dishes apply here like lotus root, thinly sliced marbly beef, delicate parcels of fresh fish, tofu, noodles and dumplings. 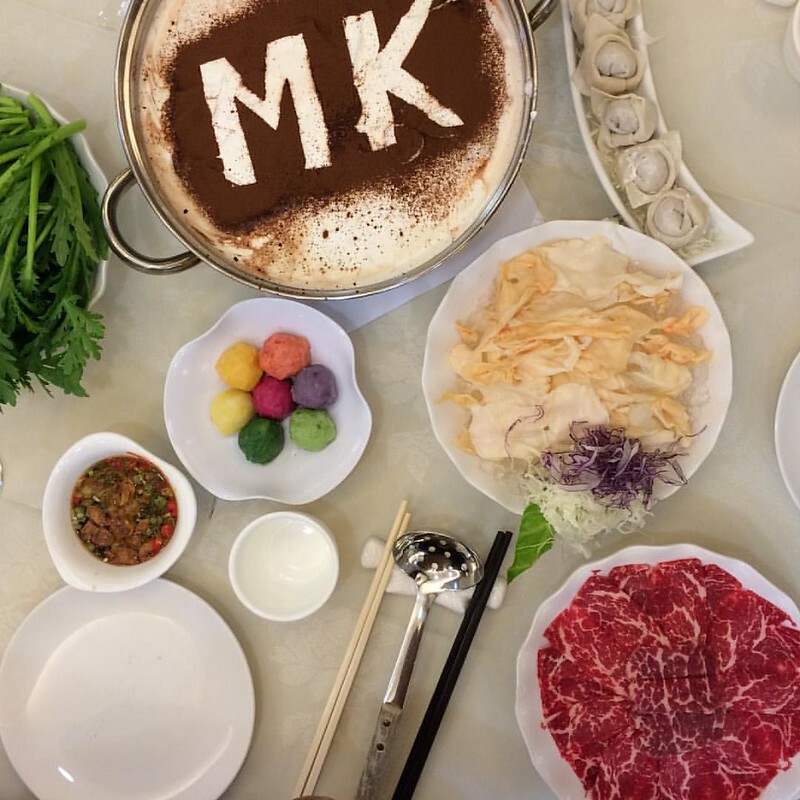 The Mala Sichuan soup base is the headlining hot pot act, non-chilli heads and young kids will appreciate the non-spicy partition with a choice of chicken, pork, beef or seafood based broth and all the hot pot favourites – just don’t mix the broths! The Sichuan style restaurant offers main meals infused with chilli , swamped with peppercorns and loaded with dried chilli. Try their Ma-Po Tofu and signature Spicy Sichuan Style Stew. Reservations welcomed, menu’s are in English and Chinese and waiters have a good grasp of spoken English. Cash and credit is accepted. Soup bases range from$108 – $298. Meats range from $58 – a whopping $980 for Wagyu Beef. Average meat dishes are $58 – $138 HKD. 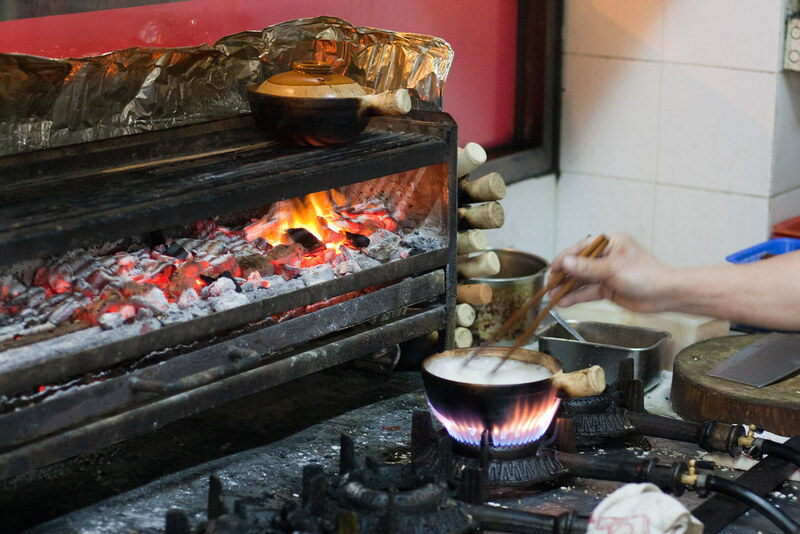 Traditionally cooked on top of hot charcoal, the claypot distributes the heat evenly and infuses the contents with flavour, the meat which range from preserved sausage, waxed duck, pork, chicken salted fish and even frog legs is tender and succulent. The juices combined with the sauces seeps into the rice that lines the base of the slow cooked clay pot is extremely fragrant and utterly delicious. At the base of the claypot is a layer of crispy, chewy, flavoursome rice that kids (and kids at heart) can’t get enough and a Hong Kong must eat. Don’t leave Hong Kong without trying a claypot rice, best indulged during the winter, but a year round staple on the Hong Kong dining scene. If eating claypot rice in the summer, go for air conditioned restaurant comfort rather than a street stall. 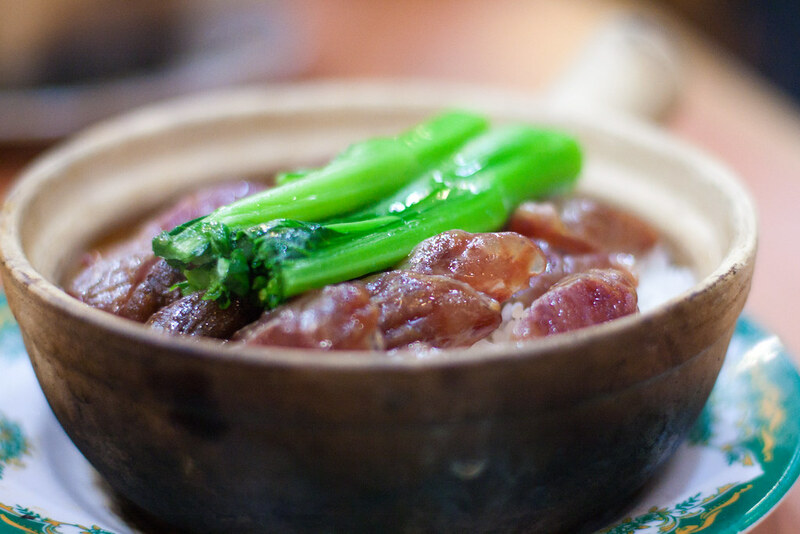 One of the longest-established clay pot restaurants and one of the best claypot rice in Hong Kong. Kwan Kee is hugely popular and packed at dinner time mainly with local office dwellers clocking off for the night and visiting foodies in the know. For families best go before 7pm and nab a table inside. There are a myriad of claypot options but a favourite is the simple chicken and Chinese sausage (lap cheung) rice. They make the crispy rice layer just right without burnt bits. As claypot rice takes a little while to cook, order the family some a-la-carte options including Hainan chicken, green vegetables or sweet and sour pork. Cash-only, generous sized claypot rice range from $68-98 HKD. Menus are in Chinese but staff can assist in basic English. 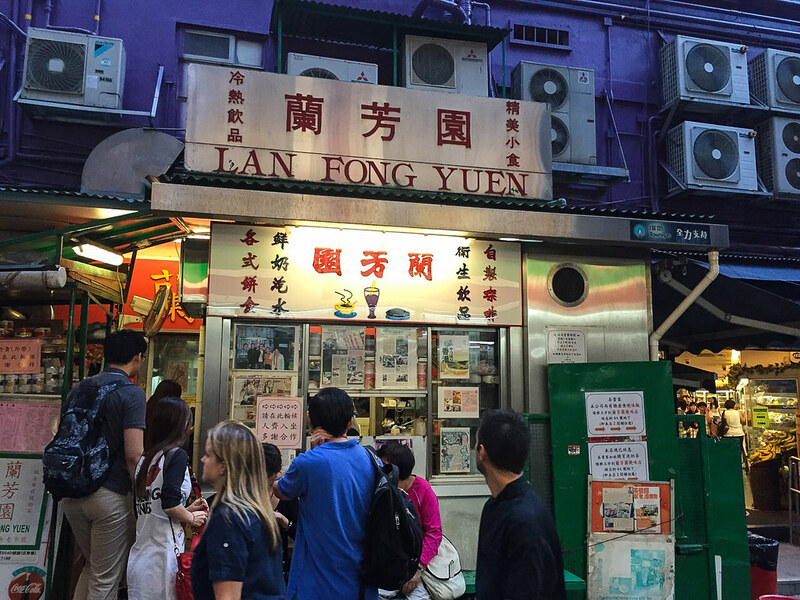 Spanning several shopfronts in busy Temple Street in Yau Ma Tei with outdoor tables spilling onto the streets, Hing Kee is charming old school Hong Kong dining with patrons sitting shoulder to shoulder enjoying their claypot rice. There’s a big selection from chicken and beef ribs, frog and sausage, ginger crab, chicken feet, eel and mince with egg. They also have creamy claypots of congee and tasty a-la-carte options like stir fried clams, salt and pepper prawns and a local favourite the crispy oyster omelette. Cash only, smaller size claypot rice range from $34-48 HKD with billingual menu’s available. Go early to avoid long queues and large crowds. Also in Yau Ma Tei and not far from Hing Kee is rival Four Seasons Claypot Rice, with a bustling indoor restaurant that offers AC and fans during the hot summer season. They have all the favourites here like chicken and sausage, salted fish and chicken or beef ribs as well as signature duck leg and frog claypot rice specialities. As well as the crispy oyster omelette the heart warming vegetable soups are also popular whilst waiting for the claypot rice to cook. Cash only, generous claypot rice range from $50 – $64 HKD. At peak dinner times, queues outside are long but fast moving. Go early to avoid the dinner rush. If Hong Kong had a signature dish it would have to be Siu Mei the term use for Chinese BBQ roast meats. 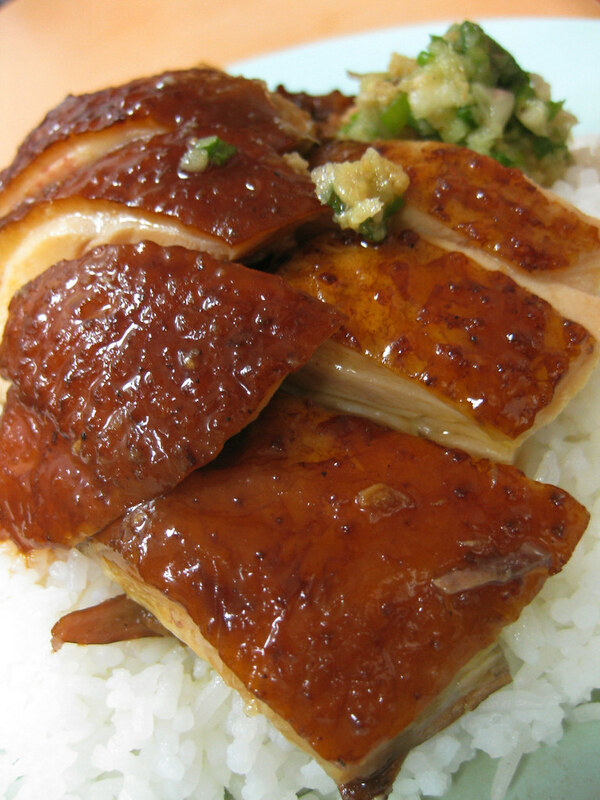 Glistening sides of Char Siu (barbecued pork), crisp and juicy roast goose cooked over charcoal, crunchy crackly roast pork and tender suckling pig with a delicate crunchy skin are enjoyed by Hong Kongers regularly. Also, eaten with celebration at festive events like weddings and Chinese New Year. 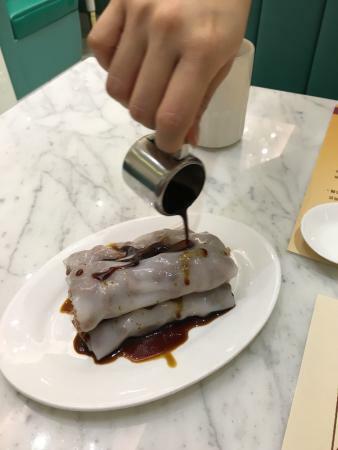 So loved is Siu Mei that it features in fine dining establishments, family restaurants and street stalls. If queues are long grab it to go, there’s something about opening a polystyrene box lined with rice, soaked with the juices of a roast duck, BBQ pork and crackling good roast pork. 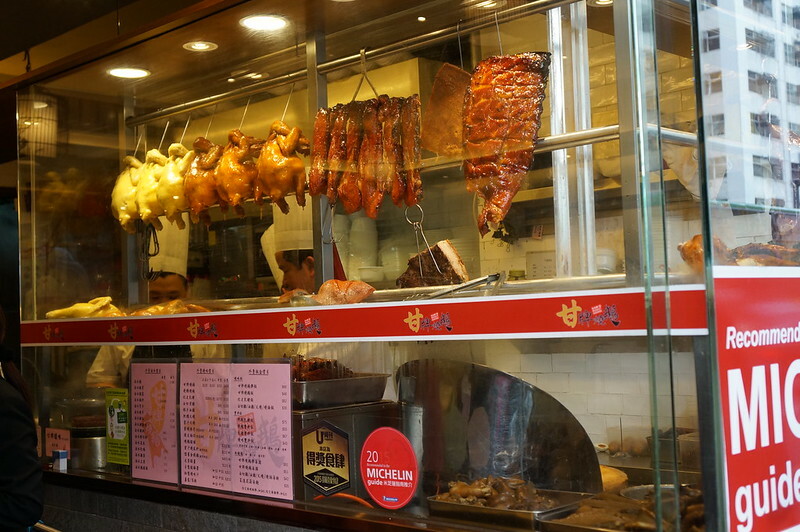 The numerous BBQ restaurants are easy to spot with glistening meats hanging seductively from shopfronts. Particularly great for families as food is almost instantaneous, inexpensive and guaranteed to be delicious. Choose from rice, assorted noodles, green vegetables and a big wad of hoisin and plum sauce as accompaniments to the roast meats. For the more adventurous check the silver trays just below the dangling goose and brilliant orange BBQ squid, marinated duck wing, pork offal and fish balls soaked in various sauces. Address: 265-267 Hennessy Road, Wan Chai. Open Hours: Monday – Saturday 10:00am – 10:00pm. This BBQ restaurant is part of the very fabric of Colonial Hong Kong history. First established in Guangdong province China in the Qing Dynasty it later moved to Wan Chai in the 1900’s as a Dai Pai Dong and has been dishing up superb tasting Siu Mei for decades. Joy Hing is a small unassuming Siu Mei shop in Wan Chai and it’s constant string of queuing patrons are testament to it’s reputation for being one of the very best. A Michelin-starred restaurant without airs and graces and voted Hong Kong’s best Char Siu on Open Rice. Try their signature Three Treasures Rice (Roast Pork, Roast Duck and Chicken) served with a good heaping of ginger and scallion topping. Roast Goose, Joy Hing Food Shop. Image: Herman Saksono, CC. BBQ meat and rice dishes from $27 – $57 HKD. Cash-only restaurant with menu in Chinese. This restaurant can be quite intimidating, with brash waiters speaking limited English, however international foodies know this place is good and they are use to the tourists. You can get by simply pointing and gesturing. Go early to avoid long lunch and dinner queues, though these are generally fast moving. Address: 32-40 Wellington Street, Central, Open: Moday – Sunday 11:00am – 11:00pm. The grandfather of roast goose, from the humble beginnings of a Dai Pai Dong serving BBQ roast meats in Sheung Wan to a four storey, 600 seat award winning fine dining restaurant in Central. 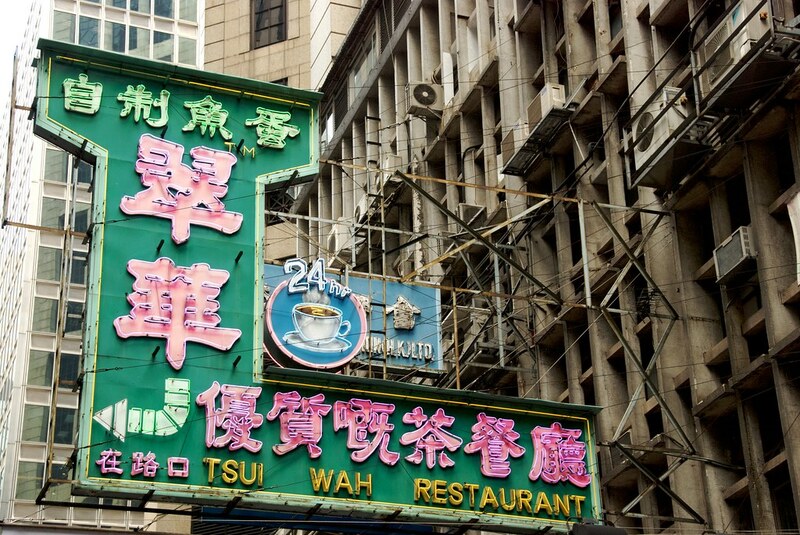 The iconic 78 year old restaurant is known and loved by Hong Kongers and visitors alike. 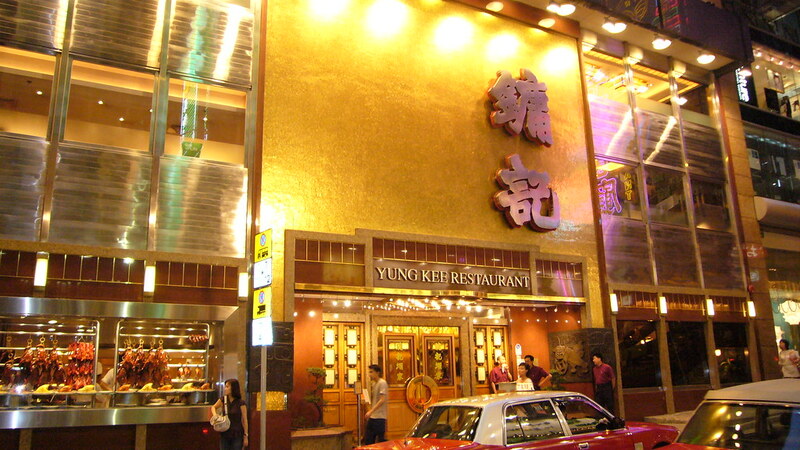 Yung Kee Restaurant, image: Kent Wang, CC. Yung Kee’s reputation for roast goose is so famous that boxed whole roast geese are sold onboard Cathay Pacific bound for China. 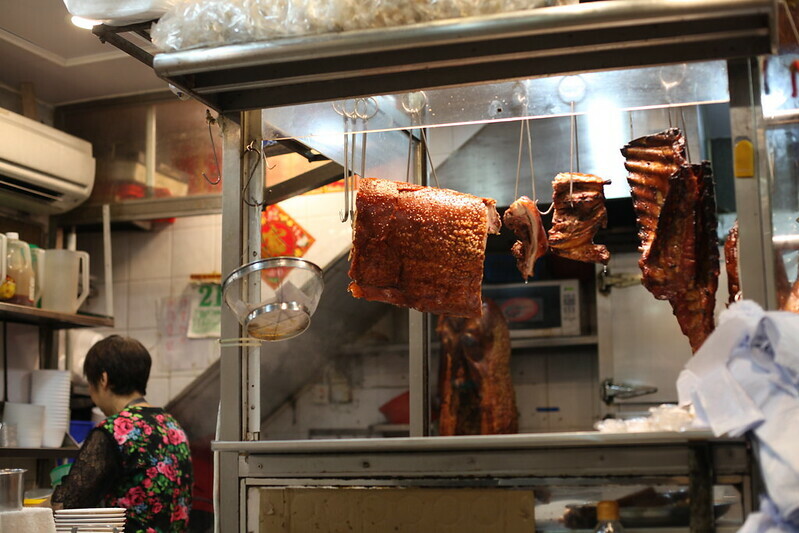 You’ll also find excellent suckling pig and BBQ roast meats as well as Guangdong style Cantonese food. Like a roast goose ‘War of the Roses’ saga, since the passing of founder Kam Shui Fai in 2004, his sons have been entwined in a bitter court battle for control of the business estimated at $1.5 – $2 billion. The future of Yung Kee remains uncertain with rumours the restaurant may wind down. Bad business vibes aside, the goose is great. Dine at this icon whilst you still can. Booth style seating is available for families. Signature whole roasted goose costs $600 HKD ($300 HKD for half), menus are in billingual and cash or credit is accepted as payment. Address: G/F, Po Wah Commercial Center, 226 Hennessy Road, Wan Chai. Open: Monday – Sunday 11:30am – 10:30pm. Splintering off from Yung Kee and the messy legal proceedings, the great grandsons of Yung King owner have created a modest shop selling Siu Mei with none other than Roast Goose as their speciality, the brother duo at Kam’s Roast Goose are doing a roaring trade. 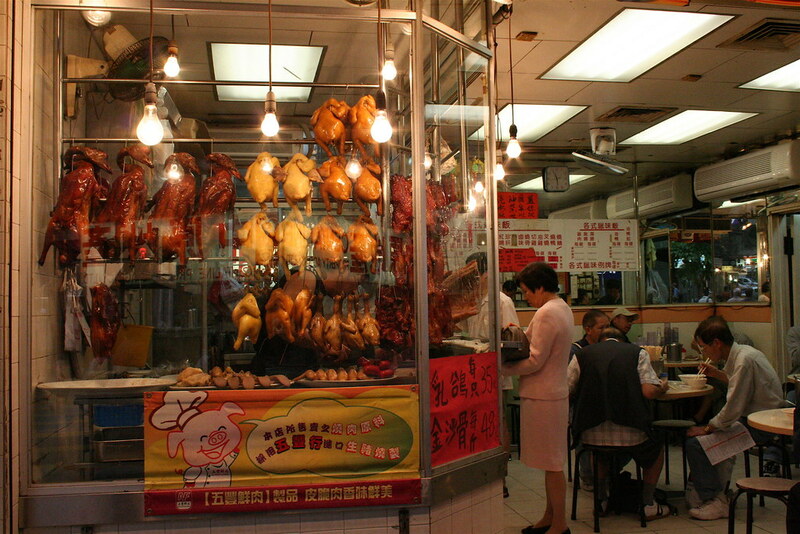 Kam’s Roast Goose in Wan Chai, image: Rosie Tulips, CC. The flavours and taste are not dissimilar to Yung Kee with the same flavours for the goose and even menu items like the century egg served with pickled ginger and salted duck egg. Some even say the fresh new restaurant is tastier than their forefather’s BBQ roast meats with a Michelin Star added to it’s name in 2015-2016. With such a heady reputation expect queues at peak times and a brisk service with share tables the norm in a restaurant that only seats 36. A roast goose and suckling pig duo costs HKD $75. Kam’s Roast Goose operates on a cash-only basis. 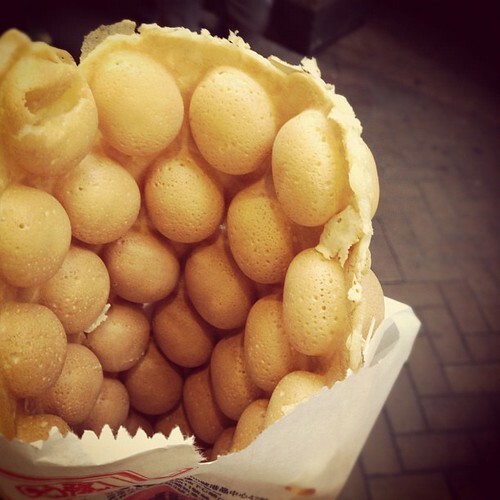 Known as Gai Dahn Jai (little eggs) in Cantonese, known in English as egg waffles, egg puffs or eggettes , these are golden spherical waffles made from a sweet egg batter. Crispy on the outside, smooth, soft and cake like creamy on the semi hollowed inside. 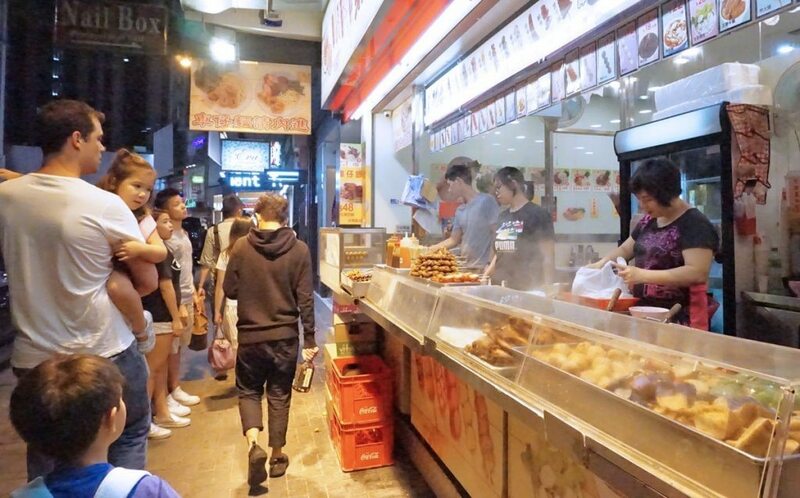 An inexpensive and vastly popular street food treat which Hong Kongers hold dear to their hearts, reminiscent of their childhood and an absolute Hong Kong must eat. Traditionally cooked over charcoal, the electric griddles are more common these days for for a sweet consistently cooked through flavour. The servings are generous and can be split between several little kids, if they are willing. 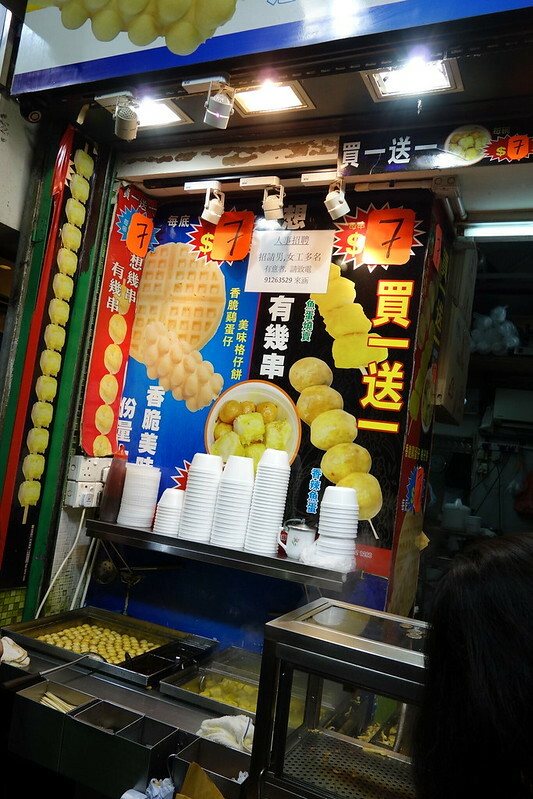 The best egg waffles in Hong Kong now with several franchises around Hong Kong, though the one in Tsim Sha Tsui features in the ‘Street Food’ section of the Hong Kong Michelin Guide 2016. Serving lovely golden puffs of eggy goodness with a twist on the original (also available), choose from matcha green tea, red bean, chocolate chip or peanut butter and condense milk drenched waffle sandwich. Egg waffles range from $16 – $28 HKD. Mammy Pancake is a cash-only shop with a billingual menu. 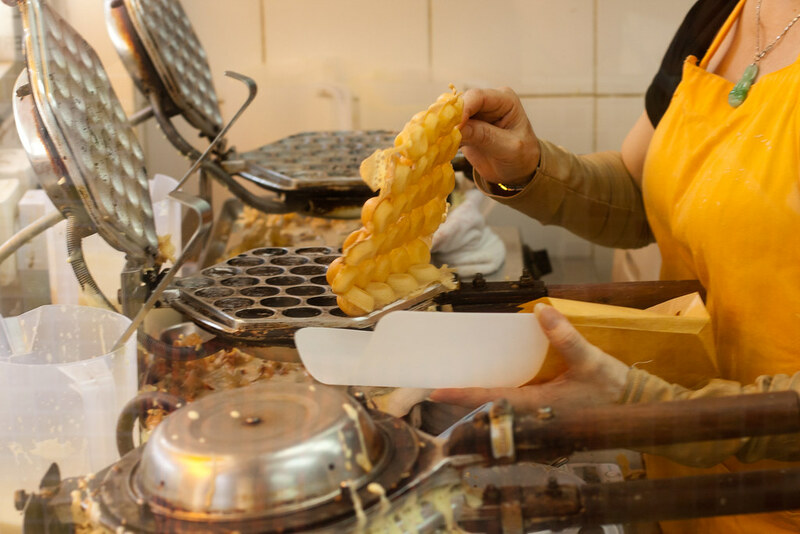 For the original and the best, head to Shau Kei Wan in a no frills shop front that cooks egg waffles to perfection. 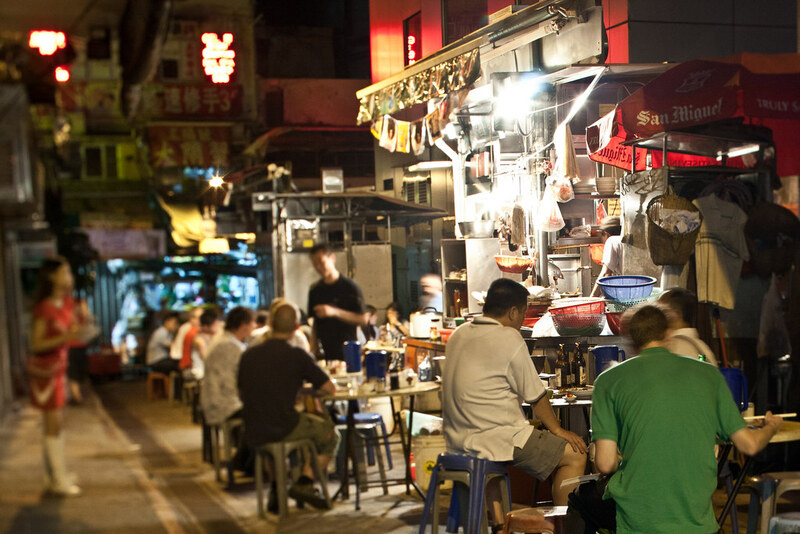 Not far from the MTR, noses will guide you to the the sweet batter cooking on griddles or look out for the procession of locals waiting for the delightful snack. Traditional dutch waffles with jam or peanut butter are also sold alongside. Cash-only shop front and plain egg waffles cost $16 HKD each or two for $30 HKD. Address: 492 King’s Road, North Point. Open: 7:00am – 11:00am. A small shop a stones throw from North Point MTR plastered with review clippings, cutouts of celebrities eating egg waffles and award winning stickers lies the egg waffle heavy weight Lee Keung Kee. 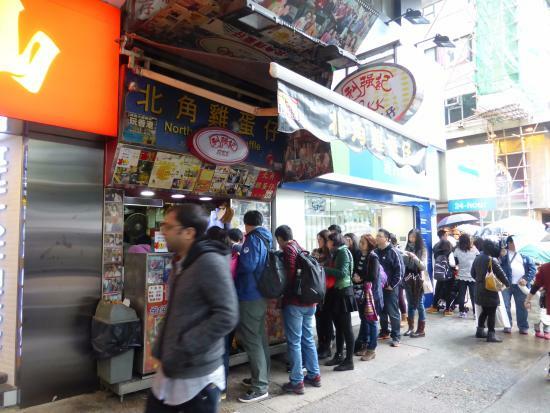 Fresh made egg waffles are flipped out of their electric griddles as patrons queue up for some of the best in Hong Kong. To get all the street food in, they also sell fish balls, chicken wings and siu mai (dim sim). There’s also a branch in TST. Cash-only shop, egg waffles from $16 HKD each. Menu’s are in Chinese but all you need to do is gesture and point to get the egg waffle order through. Hong Kong took the Macanese pastel de nata and made it their own. Today the bright yellow custard egg tart, baked in a flaky short crust pastry is as Hong Kong as Falun Gong street side protestors and Jackie Chan Movies. You cannot leave Hong Kong without munching on one or perhaps more of these Hong Kong must eats. 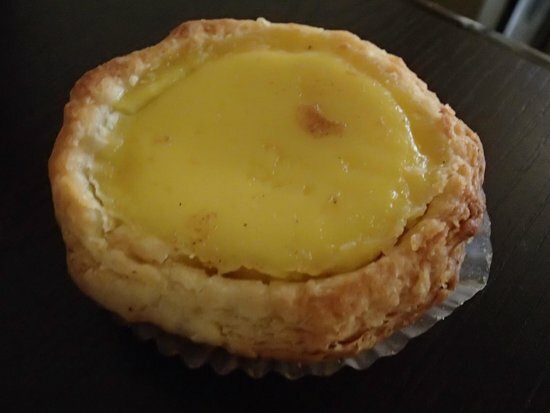 There are two versions of egg tart, there’s a shortbread biscuit like crust or a flaky pastry crust which is unequivocally the better version, although the crust doesn’t matter, kids only scoop out the delicious creamy center anyway. A small corner takeaway bakery stand, selling a variety of sweet breads, cakes and pastries. Hoover Cake Shop is most famous for possibly the best egg tarts in Hong Kong. 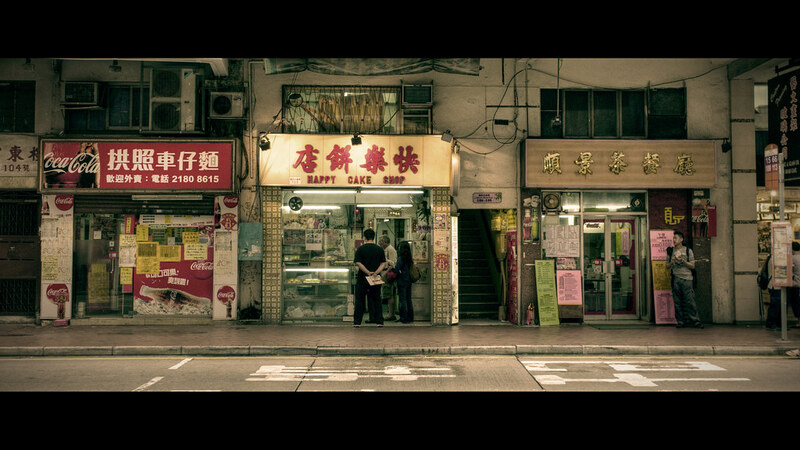 Keeping a low key local profile ask anyone in Kowloon and they’ll direct you here for a glossy, warm egg tart. Whilst you are there pick up a pineapple bun or mango Lo Mei Chi, a mango and coconut glutinous sweet rice ball with peanut filling. Menu’s stuck on the window shopfront is billingual and queues are relatively fast. An egg tart will set you back $8 HKD. 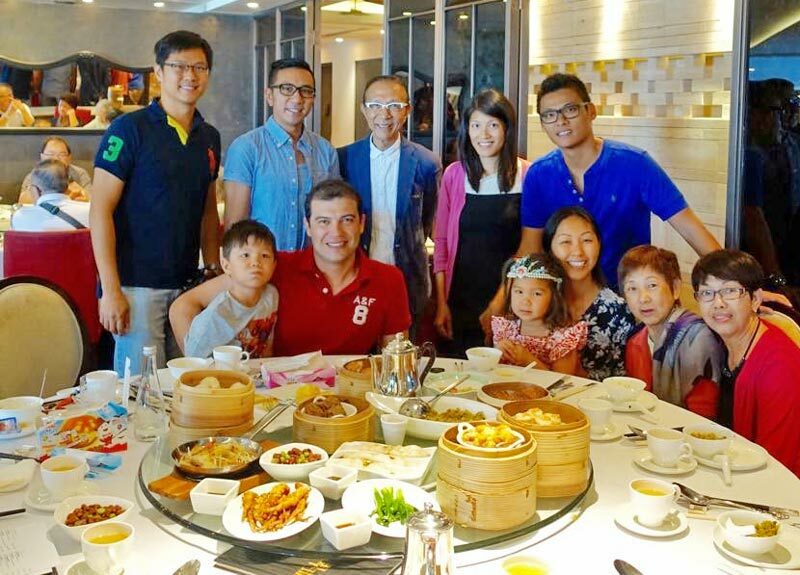 If it’s good for the former Governor of Hong Kong famously photographed chowing down on Tai Cheong’s creamy egg tart, then it’s good for the foodie world. Skyrocketing to fame as the best egg tart in Hong Kong, they honoured the former Governor by naming their speciality shortbread crust egg tart after him, try the ‘Fat Patten Egg Tart’. 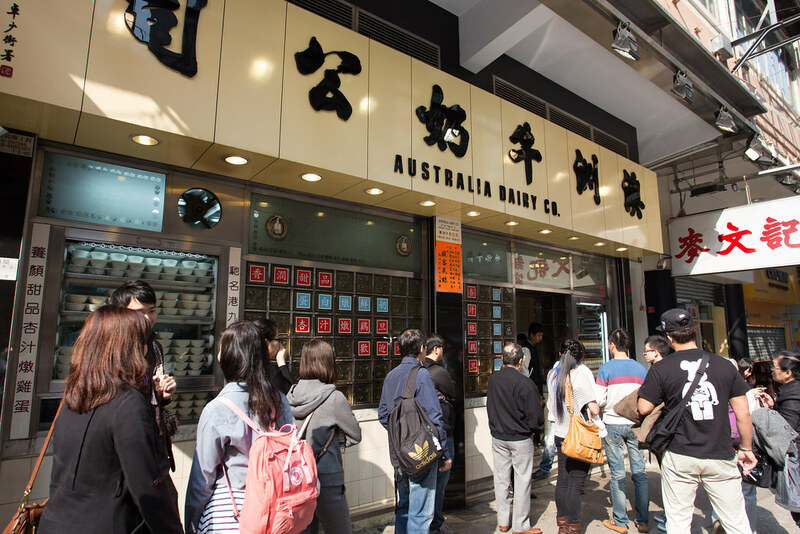 There are now many branches of the bakery around Hong Kong and opening up internationally, however the original in Central founded in 1954 is the best. As well as gorgeous glossy egg tarts in both shortcrust and flaky crust varieties, the bakery was once famous for it’s Chinese doughnut rolled in sugar. Tai Cheong also have great pineapple buns, coconut tarts and dragon beard desert with peanut filling. 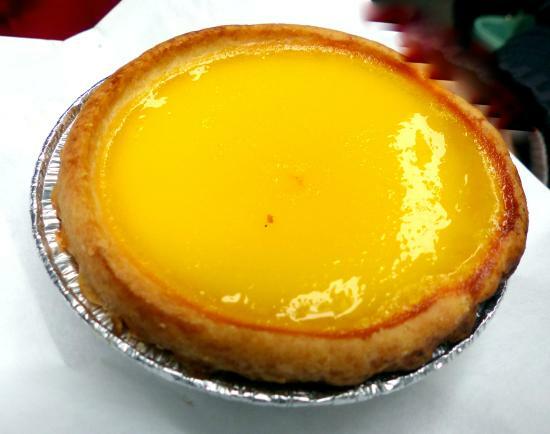 The Hong Kong must eat ‘Fat Patten Egg Tart’ will set you pack $8 HKD. Takeaway store operating cash-only. Signage are clearly labeled in Chinese and English. The 30 year old takeaway bakery in Wan Chai with it’s 1950’s tile and fluorescent lighting is a local haunt for pastries, buns, cakes and egg tarts. Rather than the vibrant yellow egg tart, their version is a mild yellow colour with rave reviews on the buttery crusty fall-apart pastry and it’s my personal favourite. Whilst there, try the ‘Wife Cake’, sugar dougnut or pineapple bun, all very good. The best thing about this shop is egg tarts set you back $4 HKD! There’s no English signage, but pointing and gesturing will do the trick. 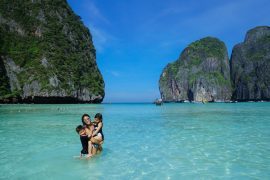 Now that your tummies are full, find out what The best things to do in Hong Kong with Kids or Where to Stay in Hong Kong, Kowloon or the Main Island. 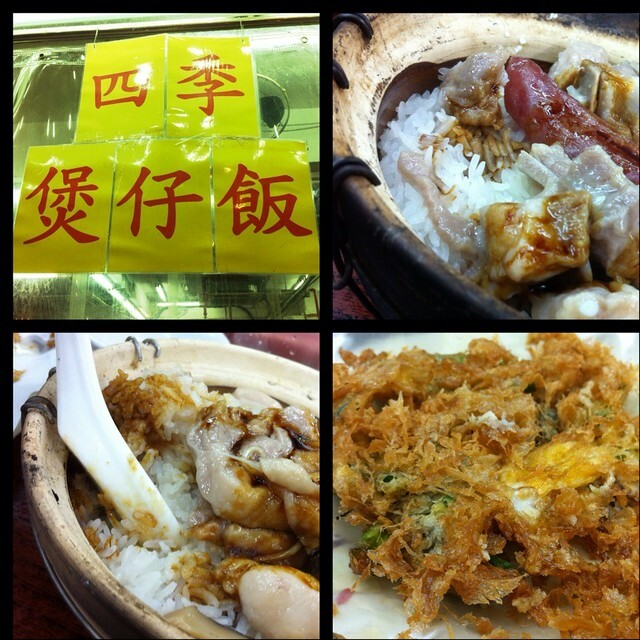 This list is just the tip of the iceberg of the wonderful and varied Hong Kong must eat foods. With a multitude of delicious places to eat, the best part is discovering something by wandering the Hong Kong city streets. 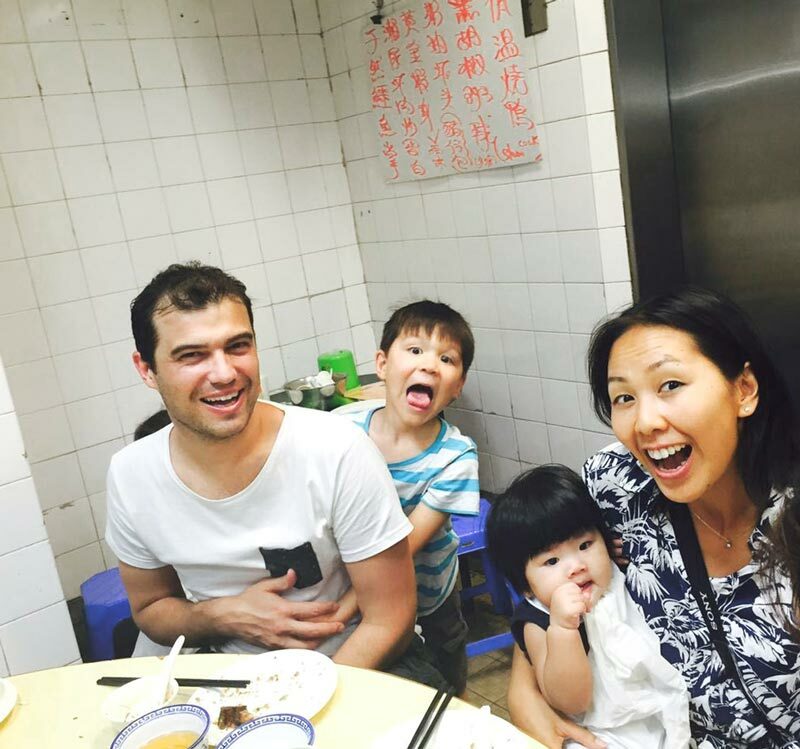 Hopefully this helped a little way in finding your way to the essential Hong Kong must eats with kids (or without). Want more of Hong Kong? Check out my detailed review of Four Seasons Hotel Hong Kong here. Previous articleHong Kong or Kowloon side – where to stay? 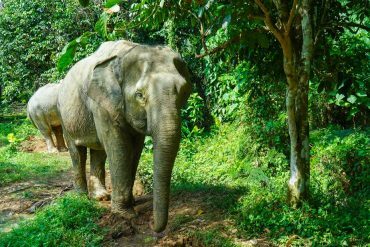 good article and good photos. keep growing it and sharing it.